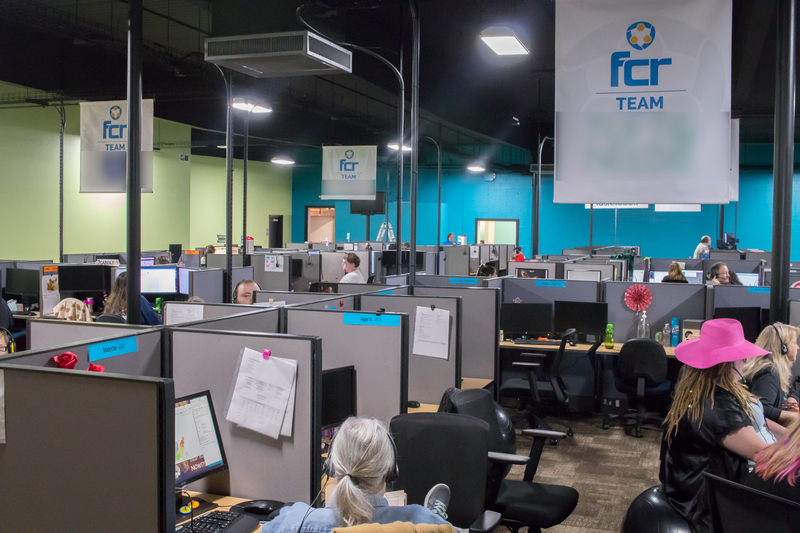 Click on a location below to learn more about our communities and centers. 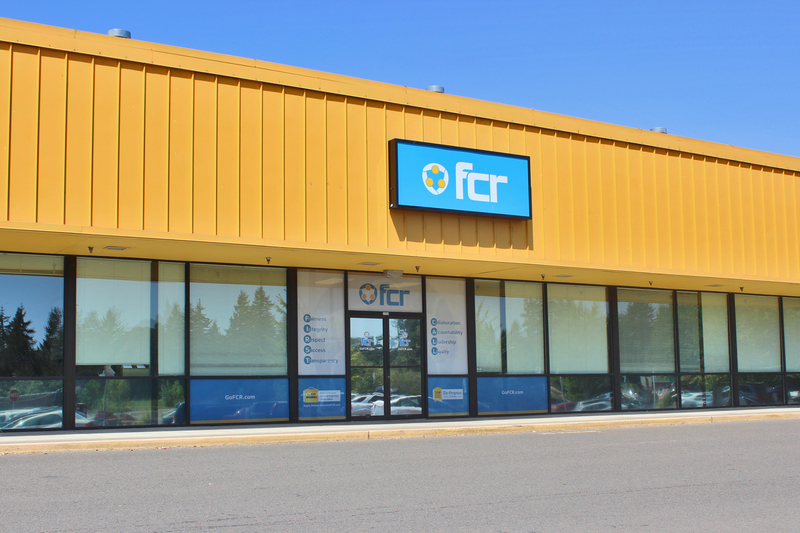 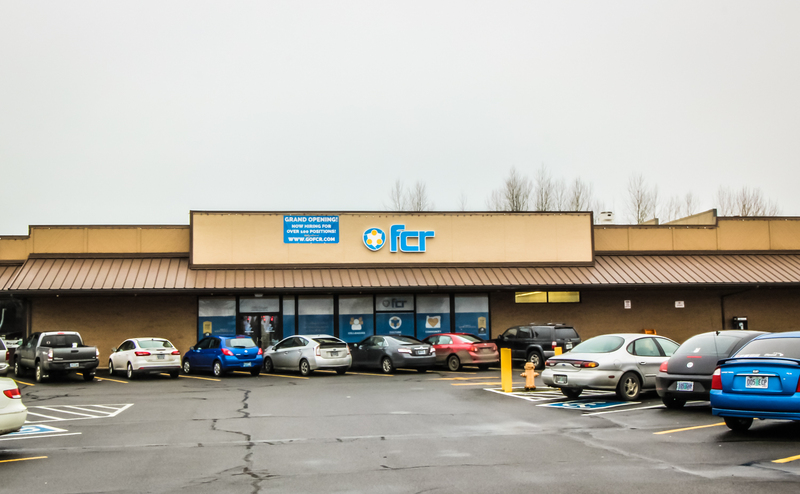 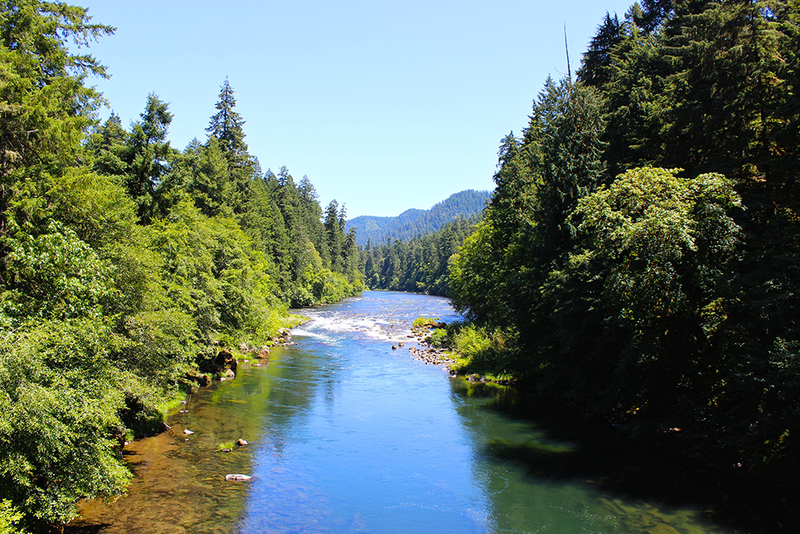 Located in heart of the Umpqua River Valley in Southern Oregon, our Roseburg location is where the story of FCR began. 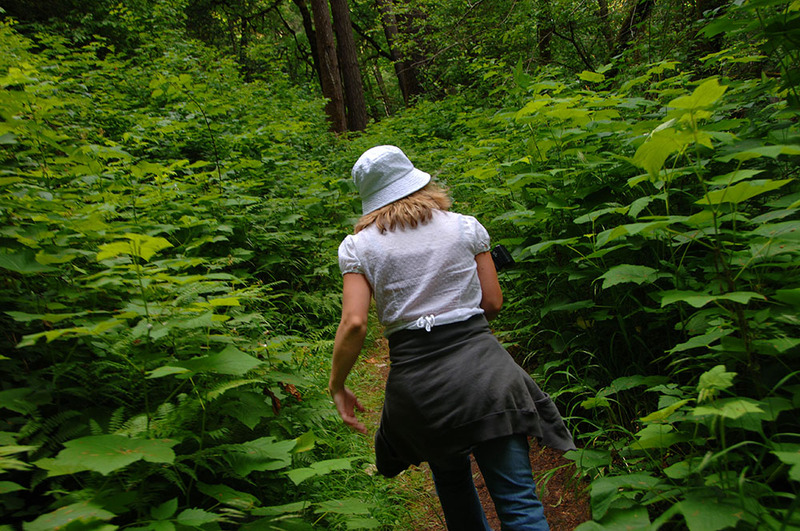 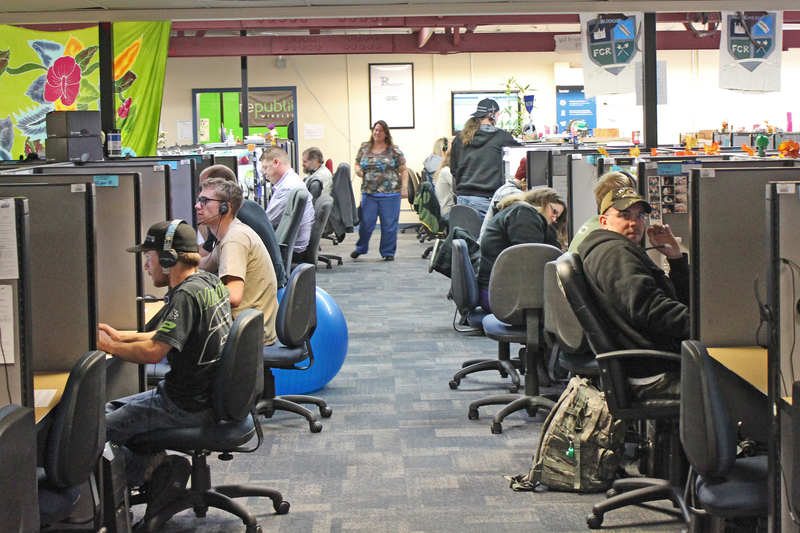 With 2 call center facilities and a Base Camp site, Roseburg is bustling with activity. 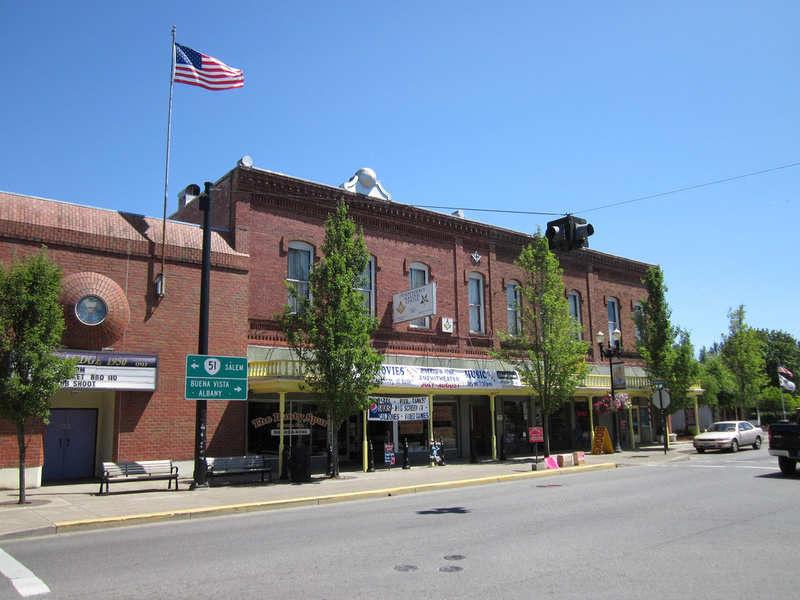 Traditionally a timber town, the city was founded in 1851 and currently has a population of just over 21,000. 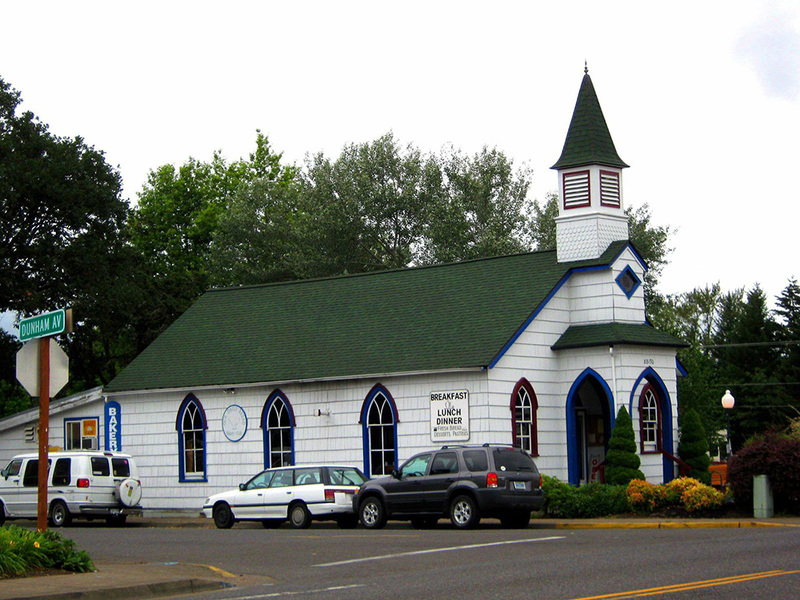 Roseburg is the county seat and most populous community in Douglas County. 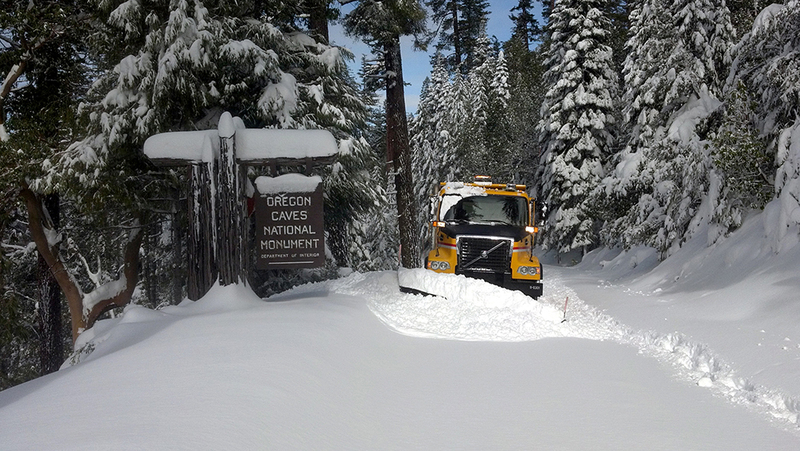 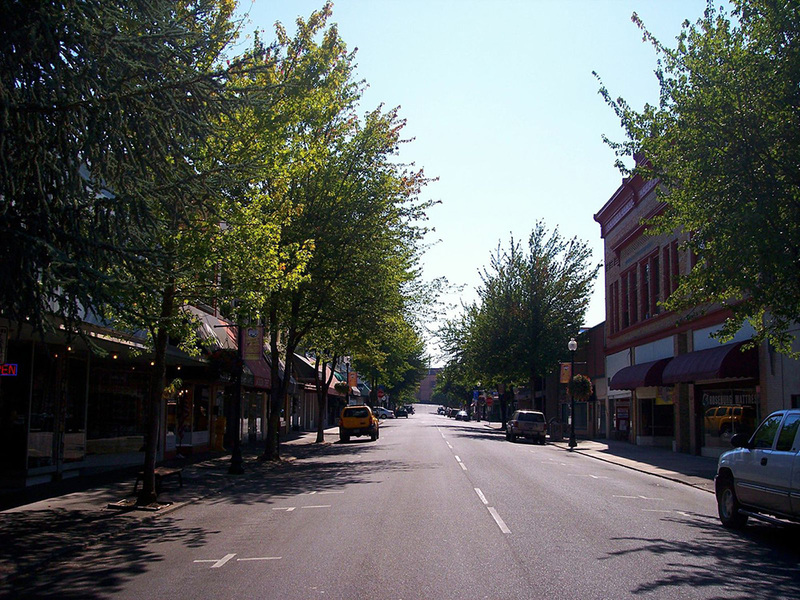 The city is centrally located within an hour and a half drive to the Umpqua National Forest, Crater Lake, the Oregon Coast, and the city of Eugene. 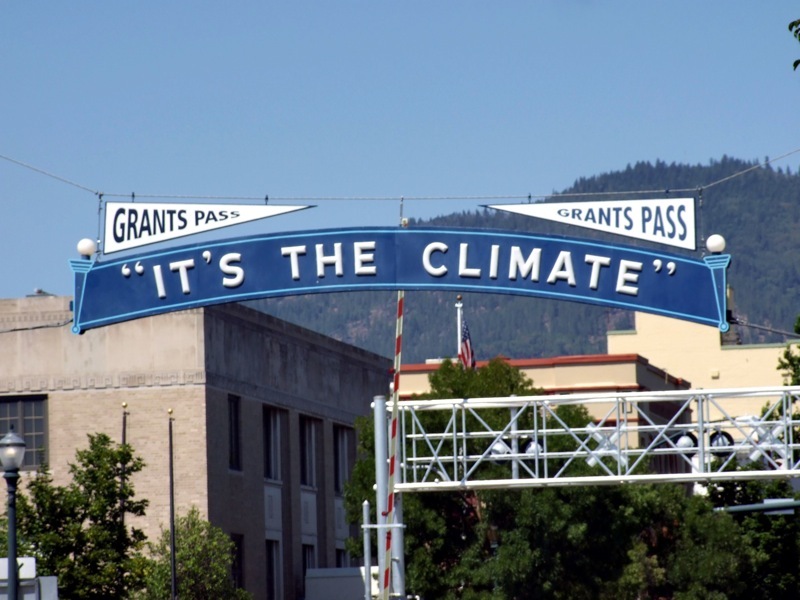 Located along the scenic Rogue River in Southern Oregon, the city of Grants Pass has a population of nearly 35,000 and is the county seat of Josephine County, Oregon. 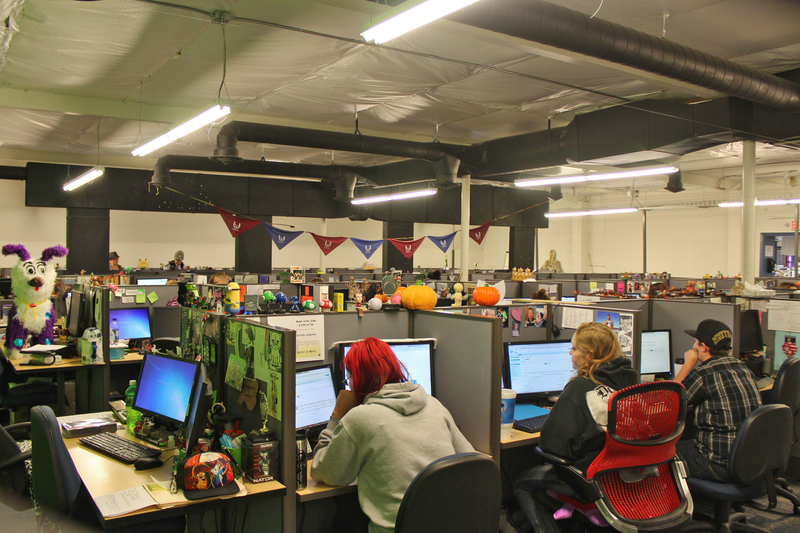 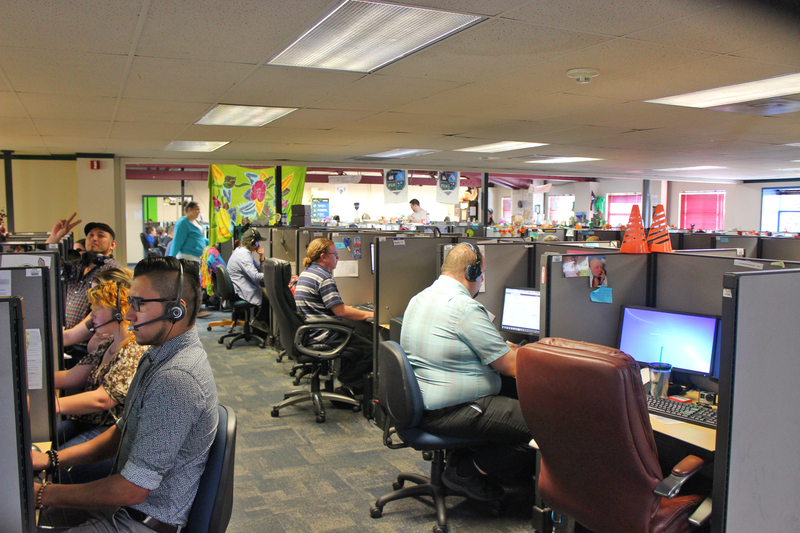 Our call center was opened here in the Fall of 2009 and has been growing at a steady pace ever since. 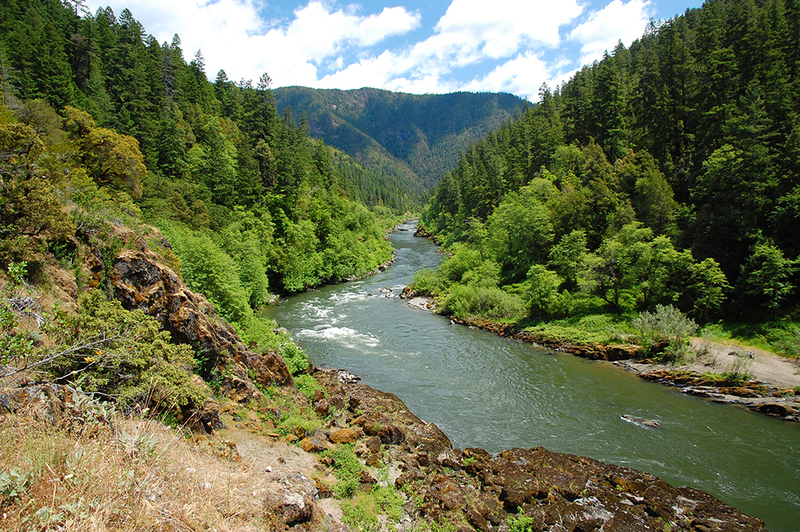 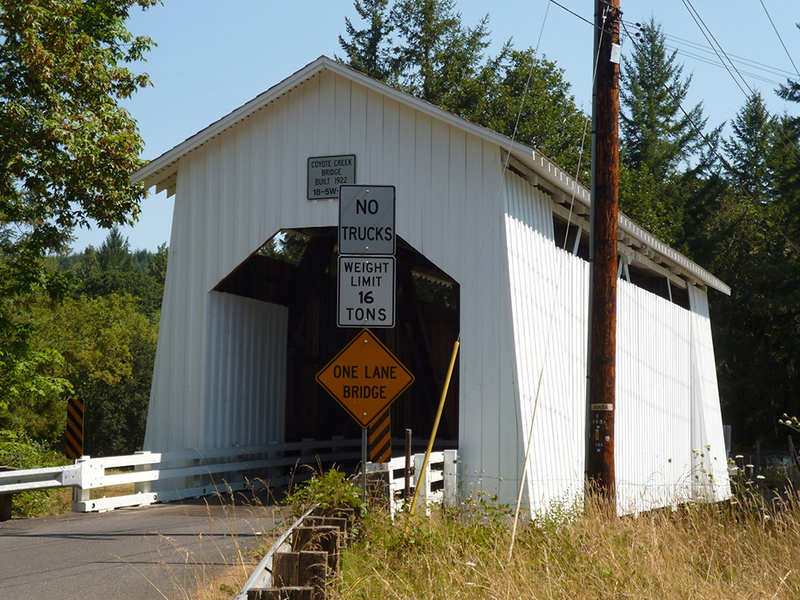 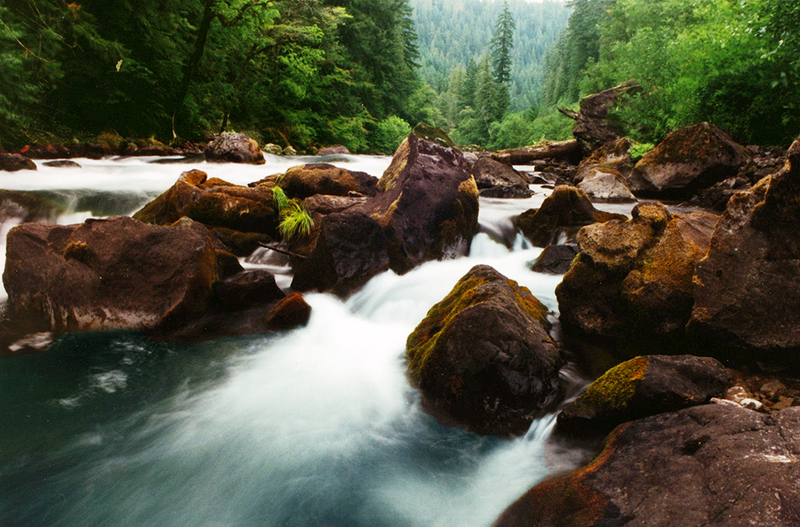 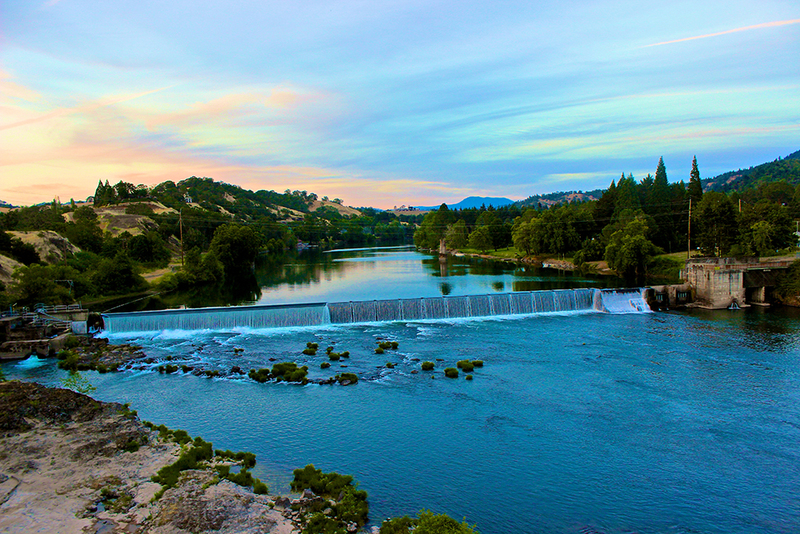 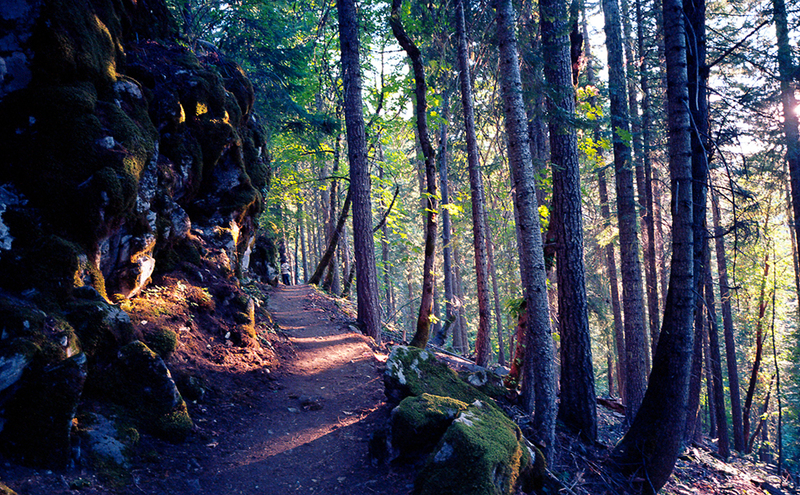 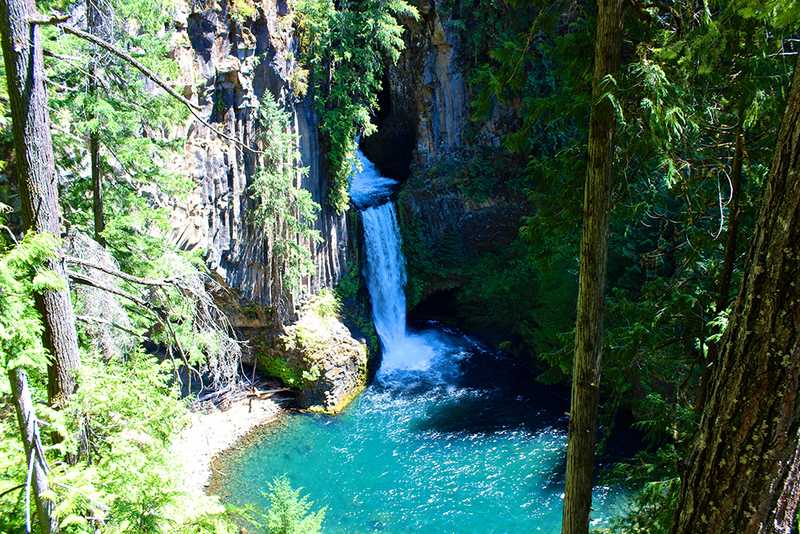 Located on Interstate 5, just Northwest of Medford, Grants Pass boasts several attractions that include the Rogue River, which is famous for its rafting, tubing, and river boat tours, as well as the Oregon Caves. 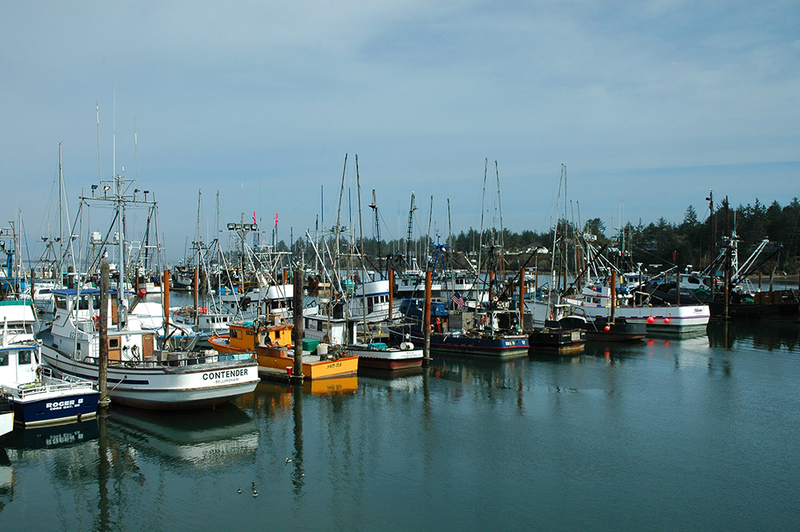 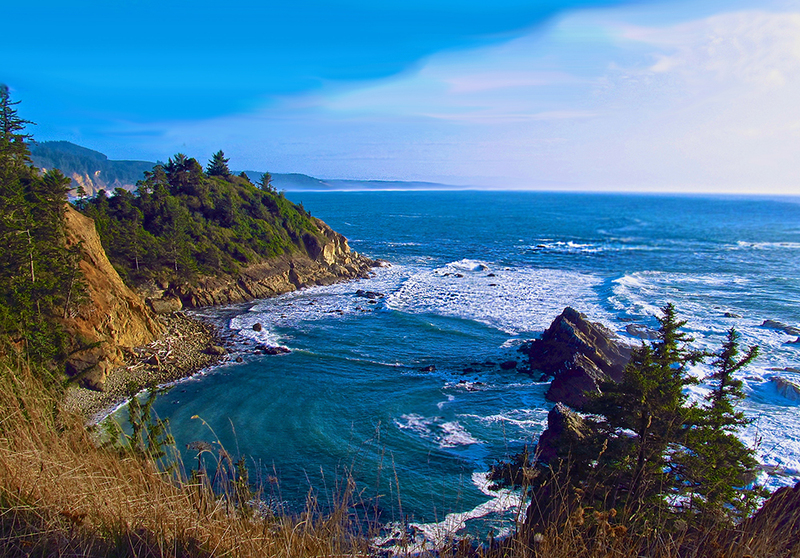 Located where the Coos River enters Coos Bay on the Pacific Ocean, the city of Coos Bay has a population of nearly 16,000 residents, making it the largest city on the Oregon Coast. 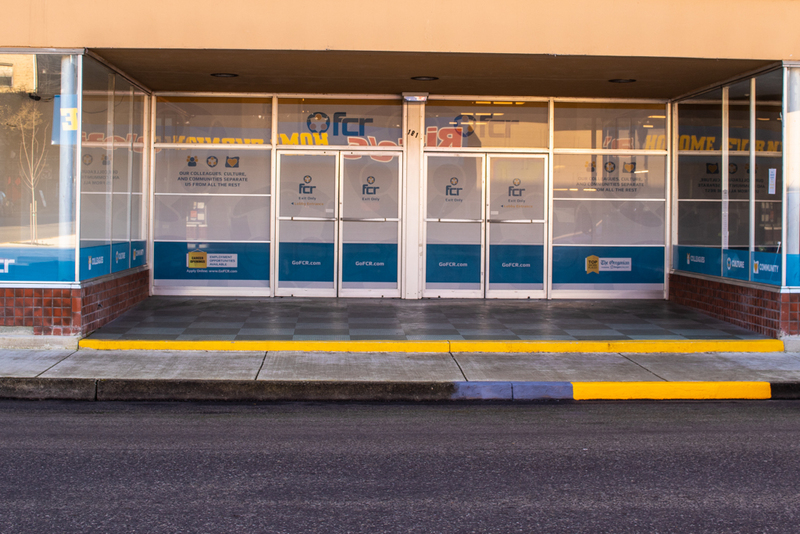 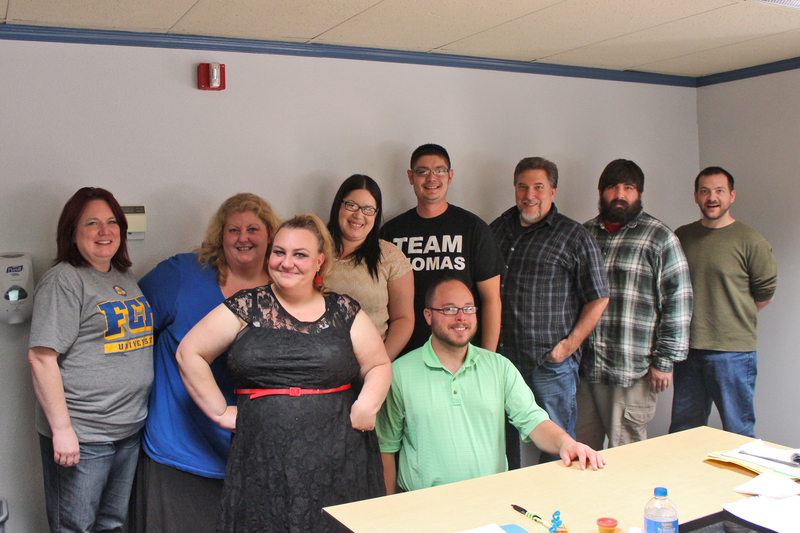 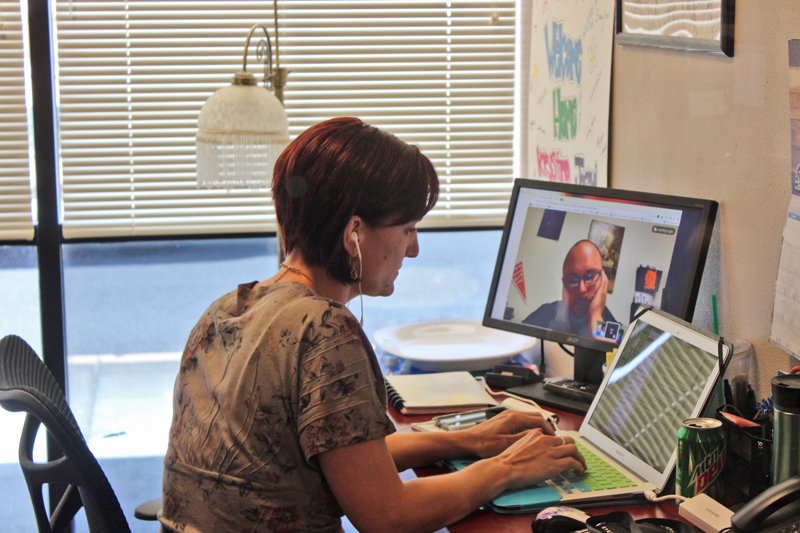 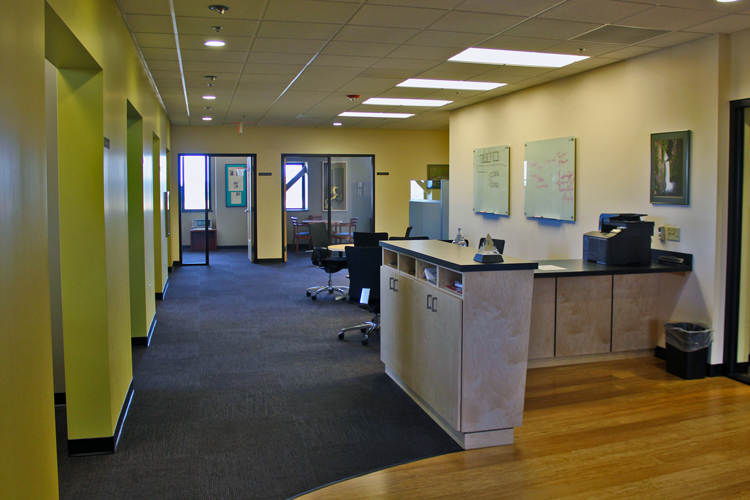 FCR opened its call center in downtown Coos Bay in June of 2012 where it continues to grow every day. 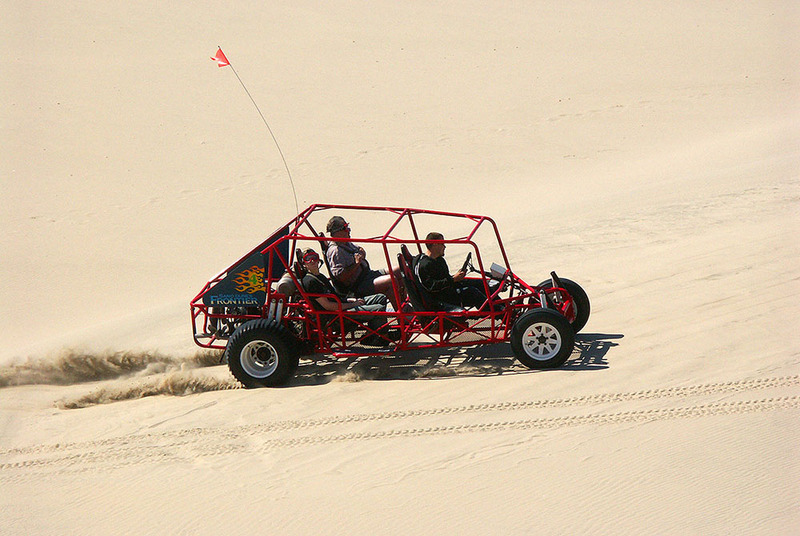 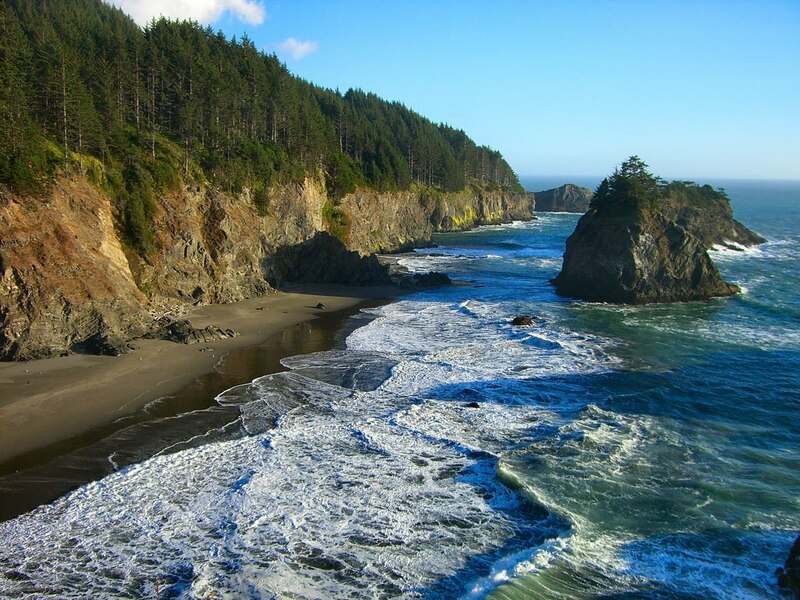 The greater Coos Bay area has a variety of outdoor and recreational attractions, including the Oregon Dunes National Recreation Area, Bastendorf Beach, Sunset Bay State Park, Shore Acres State Park, and Cape Arago State Park. 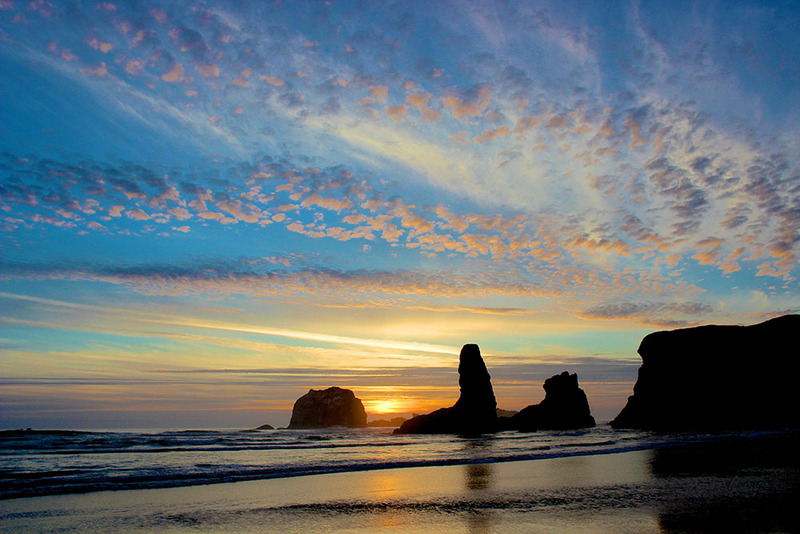 Take short drive of just 30 minutes South and you will also see the beauty of Bandon-by-the-Sea. 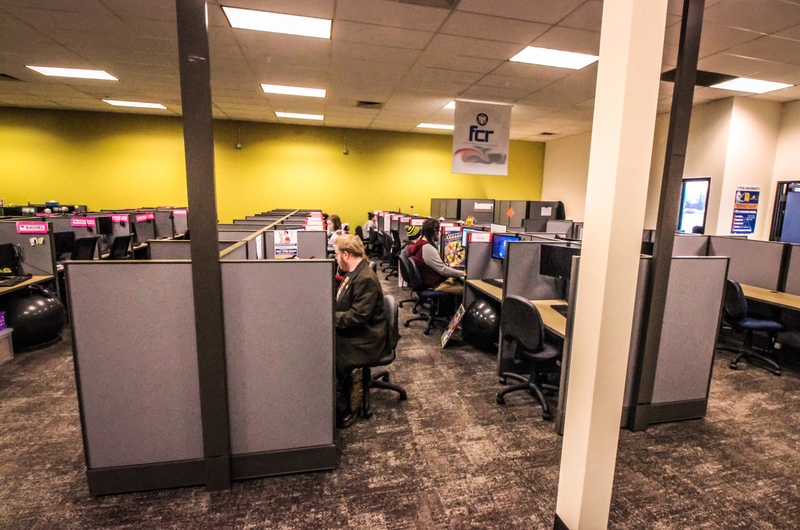 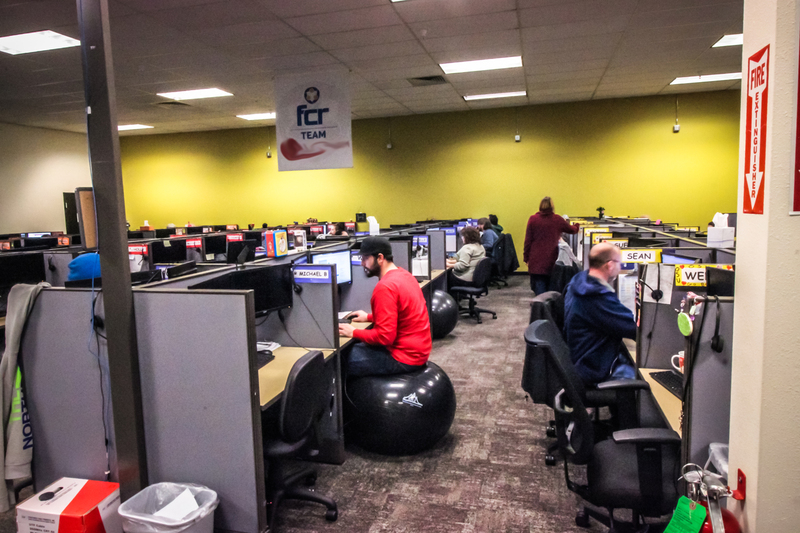 FCR opened it’s 5th call center in Veneta in January of 2014. 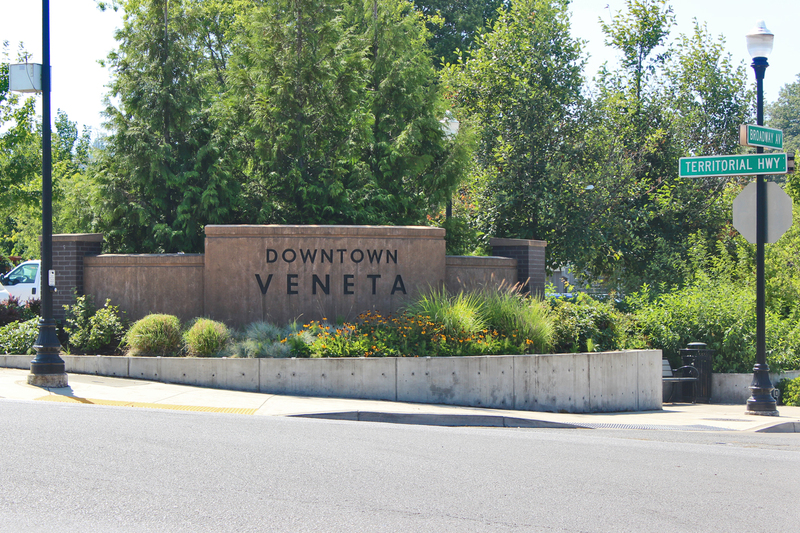 With a population of just under 5,000, Veneta may be a smaller town, but it is a hidden gem just 30 minutes due West of Eugene, OR. 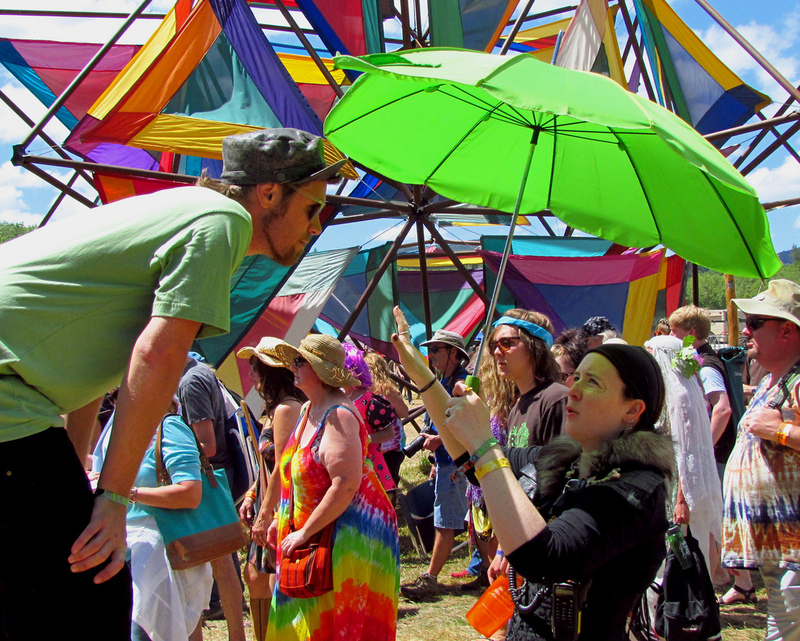 The town of Veneta has been the host of the annual Oregon Country Fair since 1970. 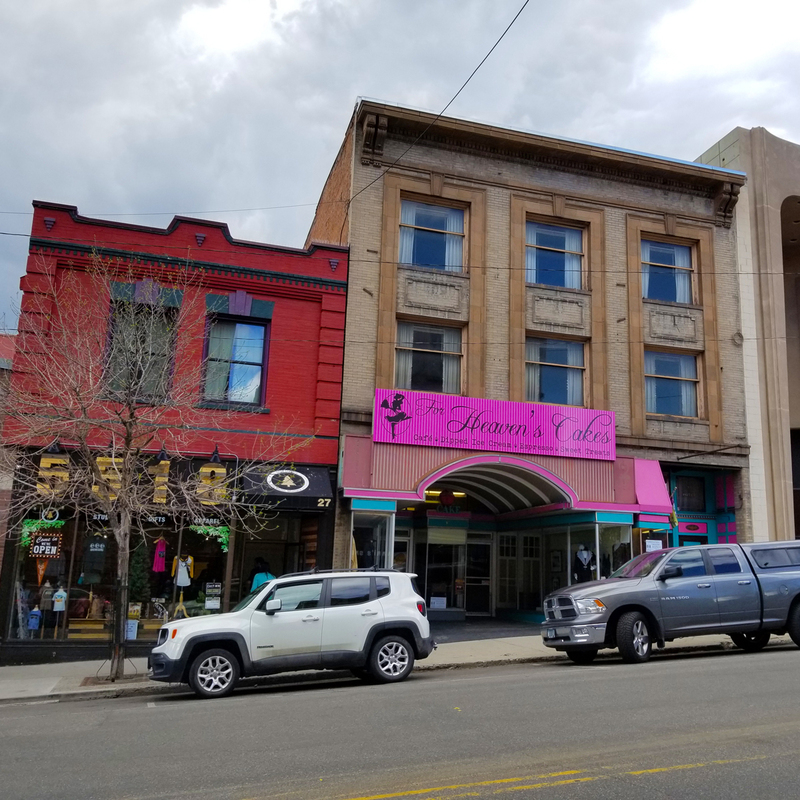 The band the Grateful Dead played a concert here in 1972 known as the “Field Trip” which has become legendary and documented in the film Sunshine Daydream. 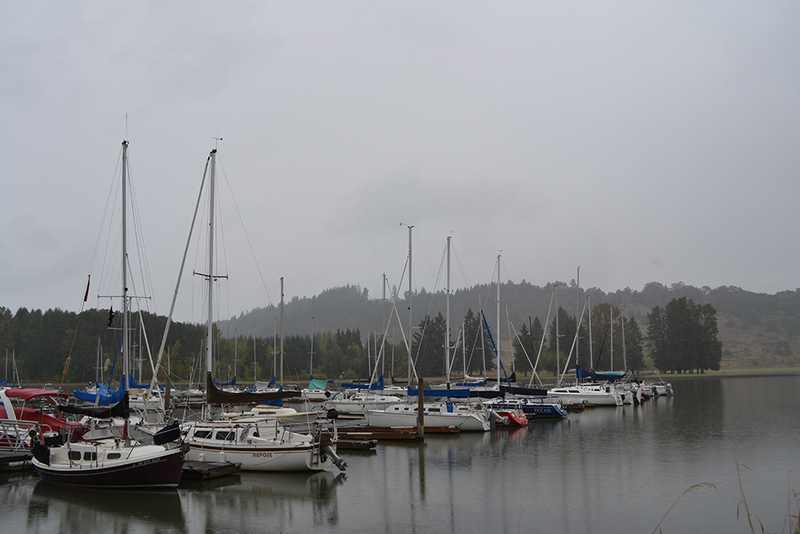 There are plenty of outdoor recreational attractions in Veneta that include boating, hiking, fishing and several city parks in the area. 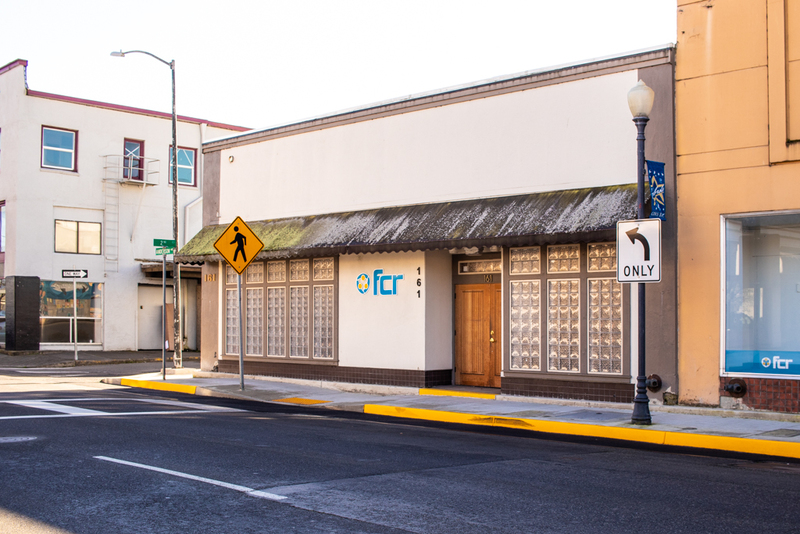 FCR opened it’s second Base Camp site in city of Eugene in July of 2014. 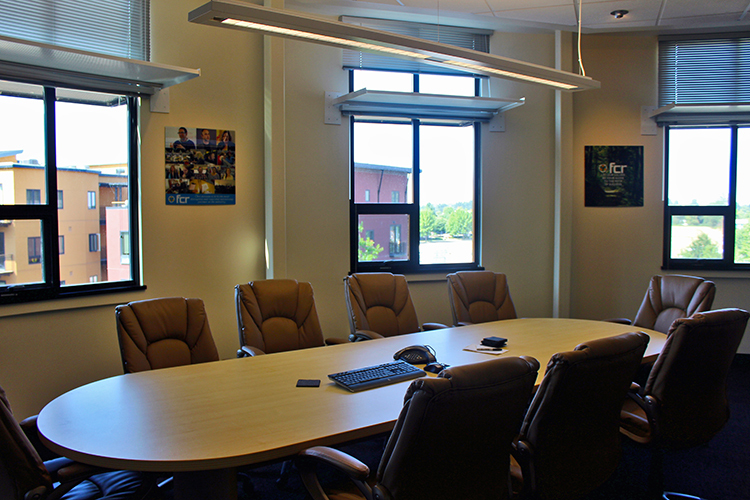 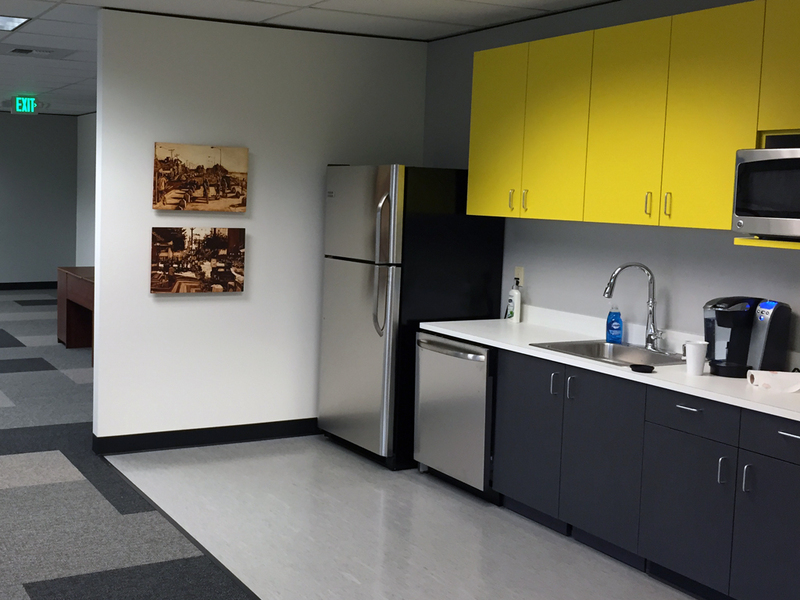 Base Camp II acts as a gathering space for client visits, strategic planning, company meetings and events, and as a regional office site for some employees. 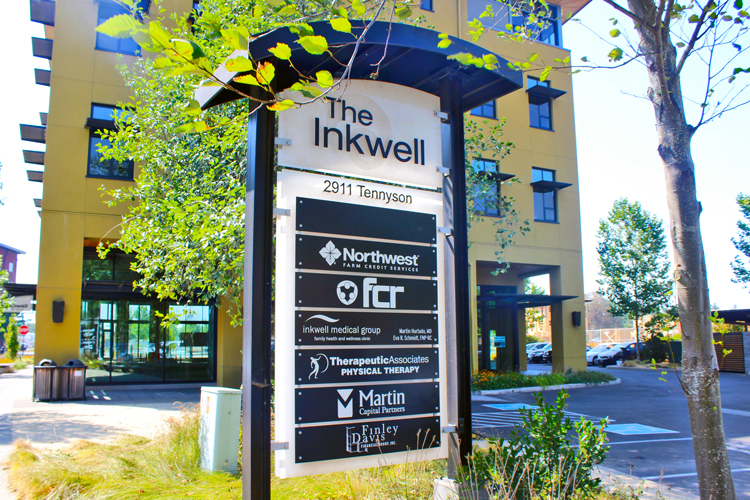 FCR’s offices reside in The Inkwell at Crescent Village, a 5-story building that boasts LEED Platinum certification by the U.S. Green Building Council. 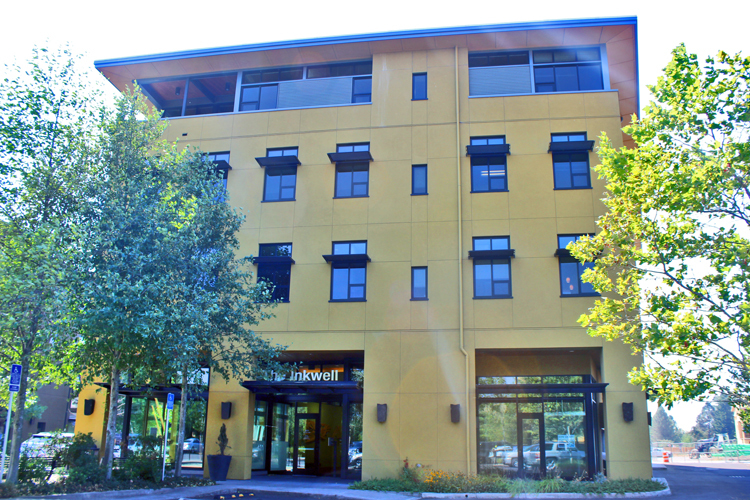 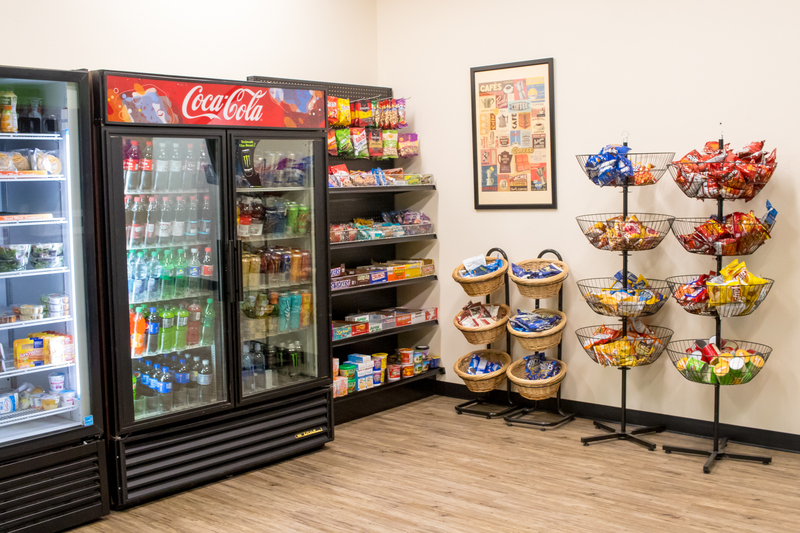 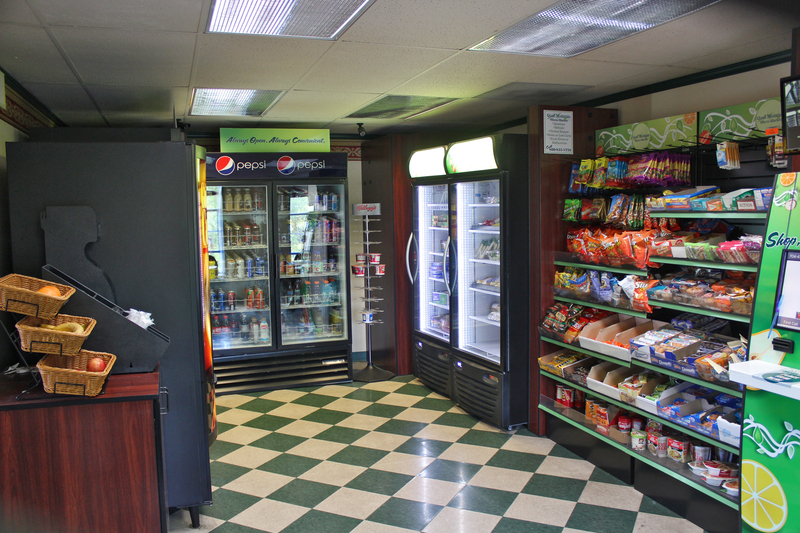 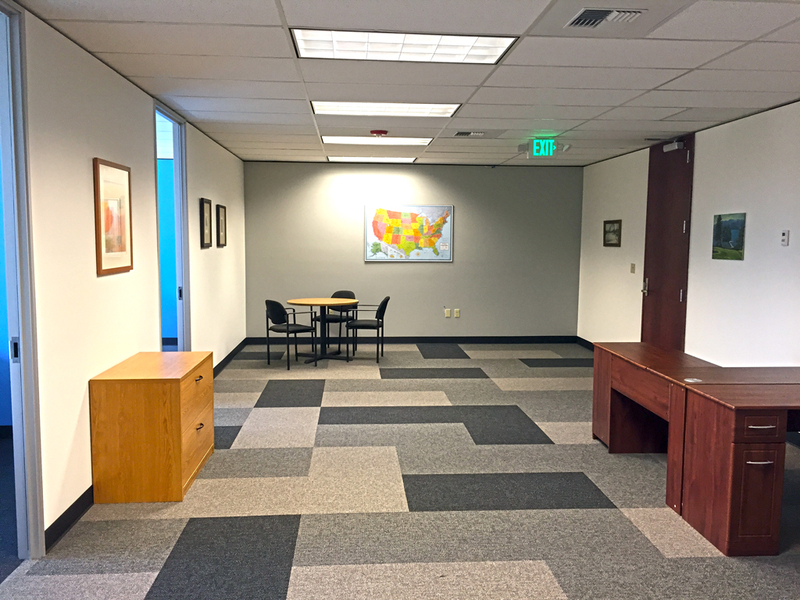 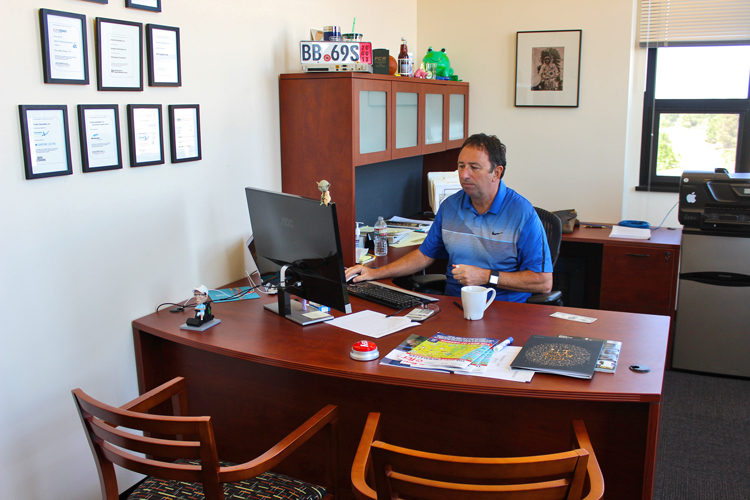 The location provides our company and its clients direct and easy access to the Eugene Airport and Interstate 5 Highway. 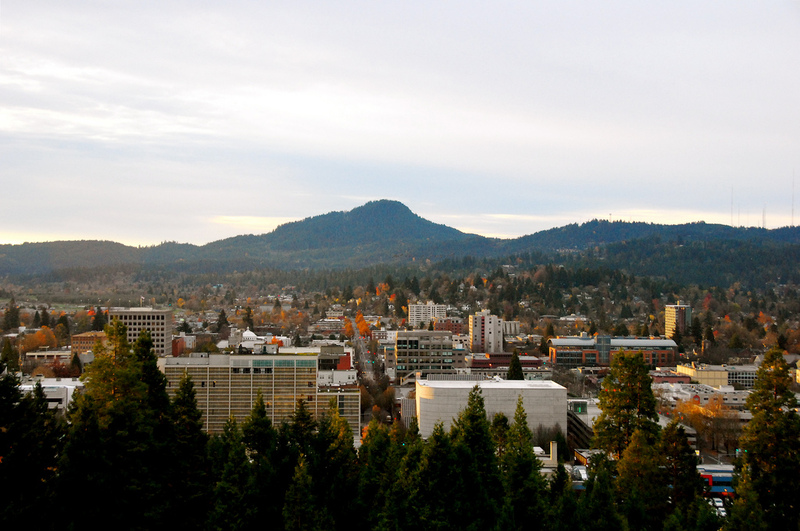 With just over 350,000 residents in the greater Eugene-Springfield metropolitan area, the city of Eugene is second only to Portland in population size. 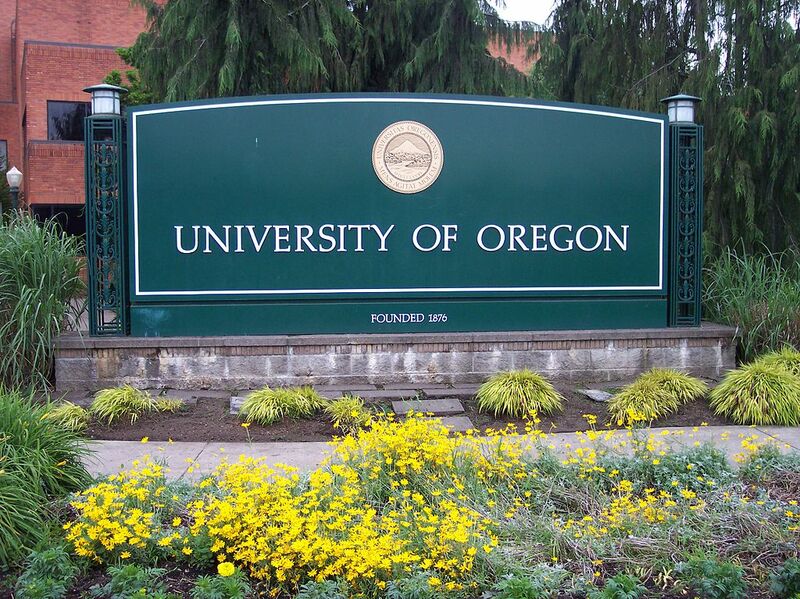 Eugene is the home of the University of Oregon, known for its high-calibre research programs and institutions, as well as the Oregon Ducks. 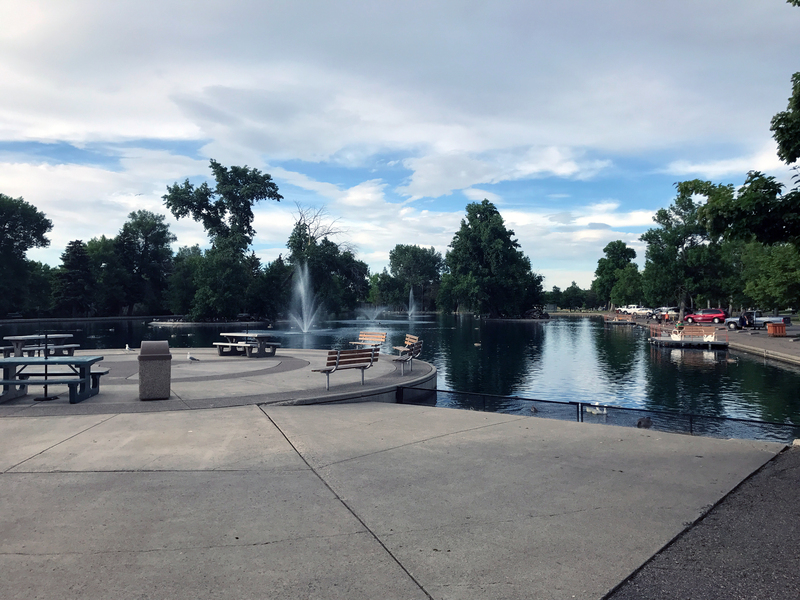 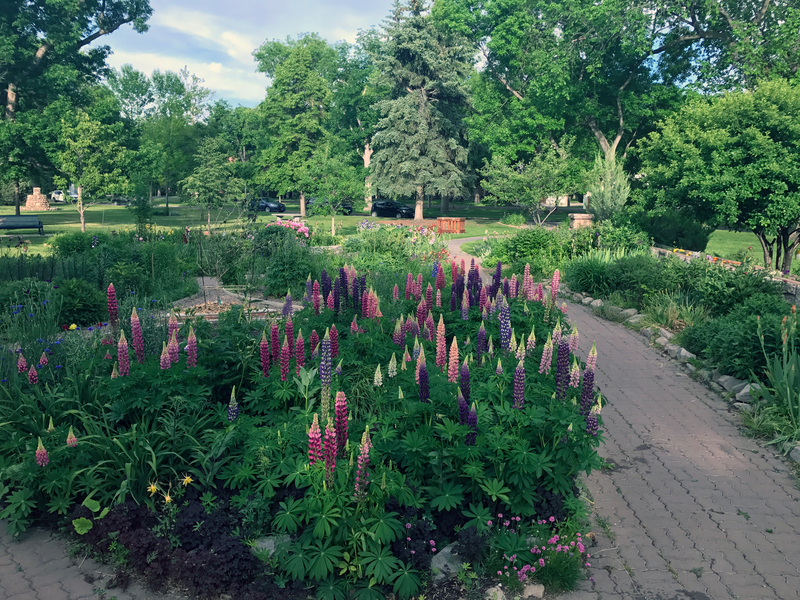 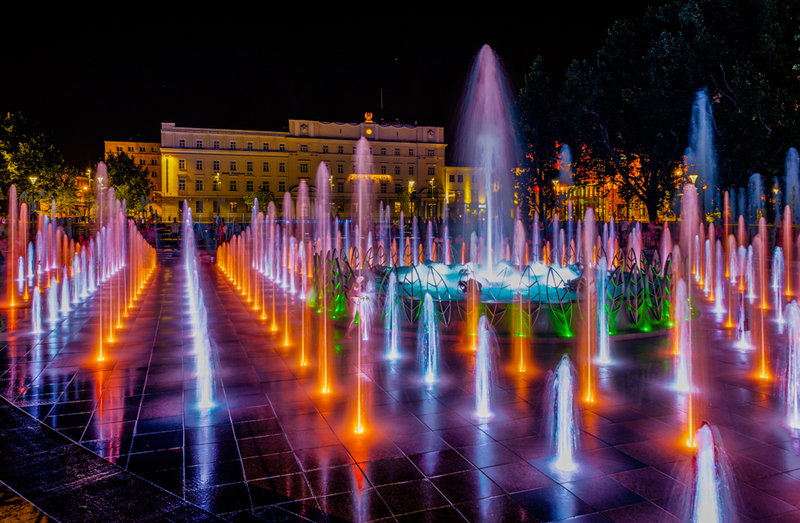 The city is known for its natural beauty and abundance of recreational activities that includes bicycling, running, rafting, and kayaking, in addition to a focus on the arts. 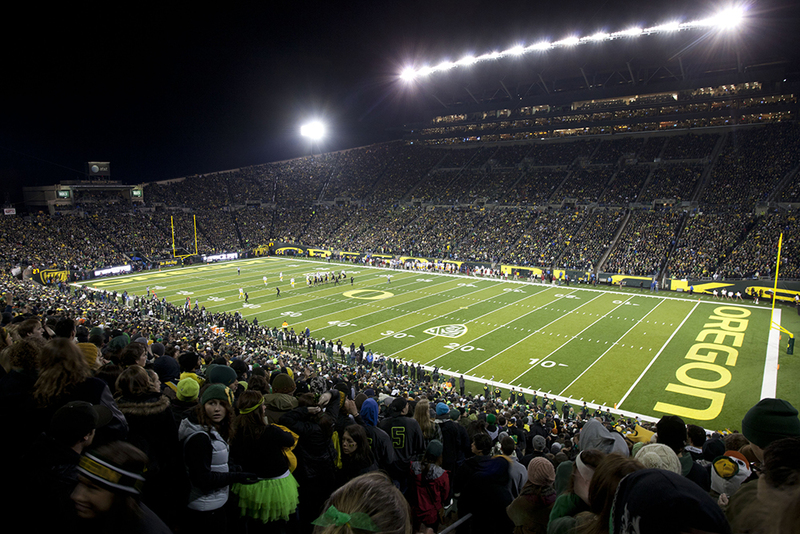 Eugene is also referred to as the “Emerald City” for its lush vegetation, and “Track Town, USA” as it is the American Mecca for all things related to the sport of track and field. 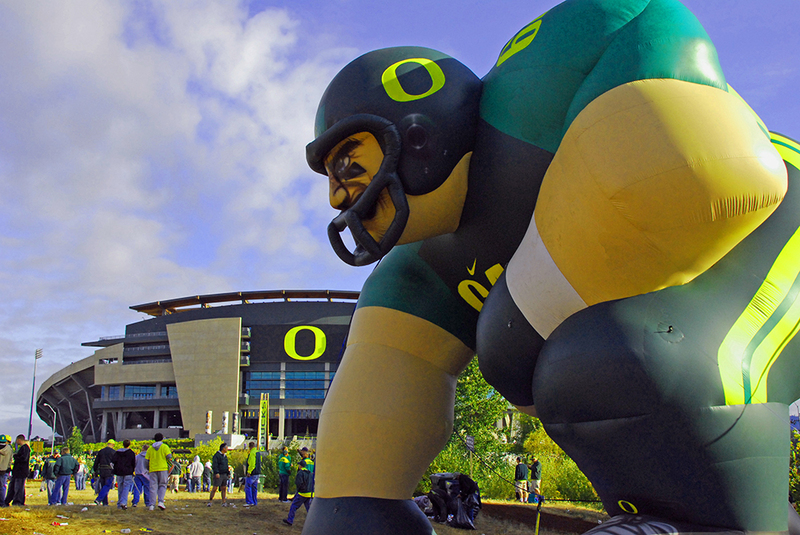 The Nike corporation also had its beginnings in Eugene. 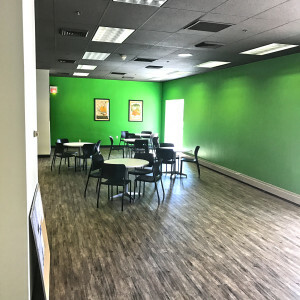 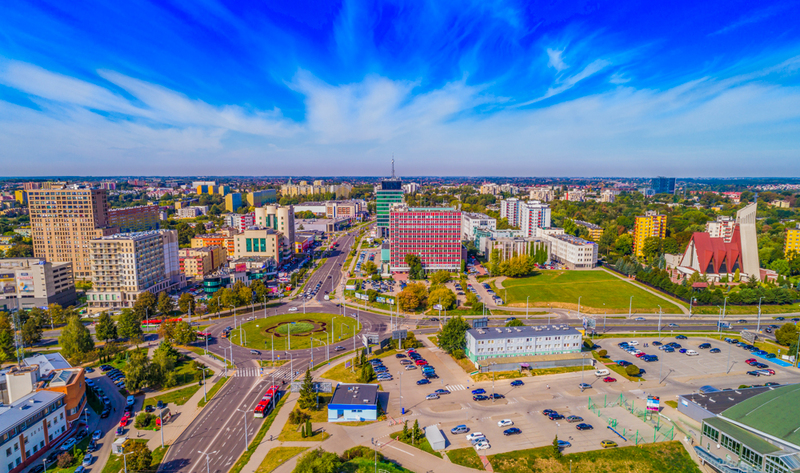 Independence is located just 20 minutes from the city of Salem, which has a population of about 160,000 residents, but the area also includes the nearby communities of Monmouth and Dallas as well. 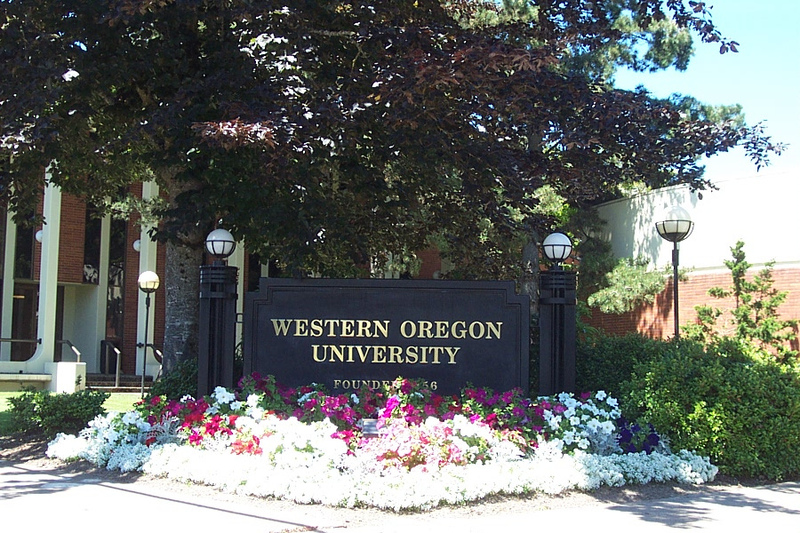 With Western Oregon University located in nearby Monmouth, it is the perfect location to recruit qualified talent to FCR. 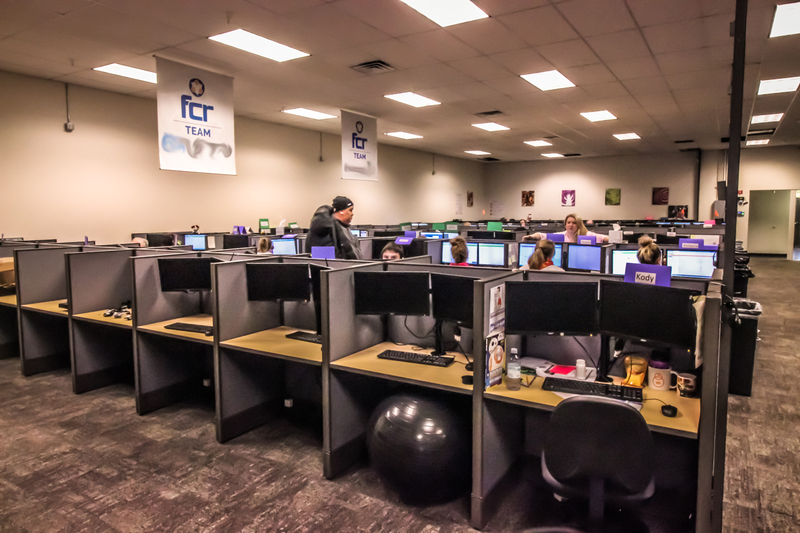 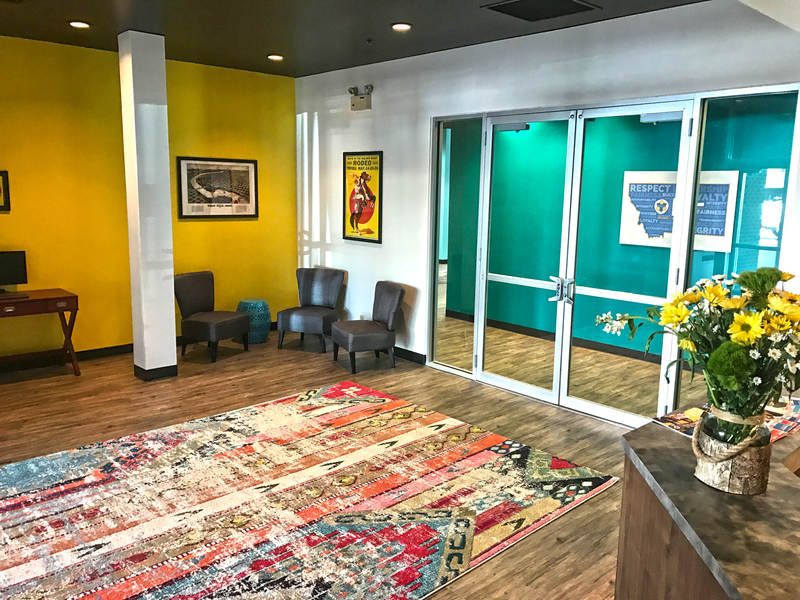 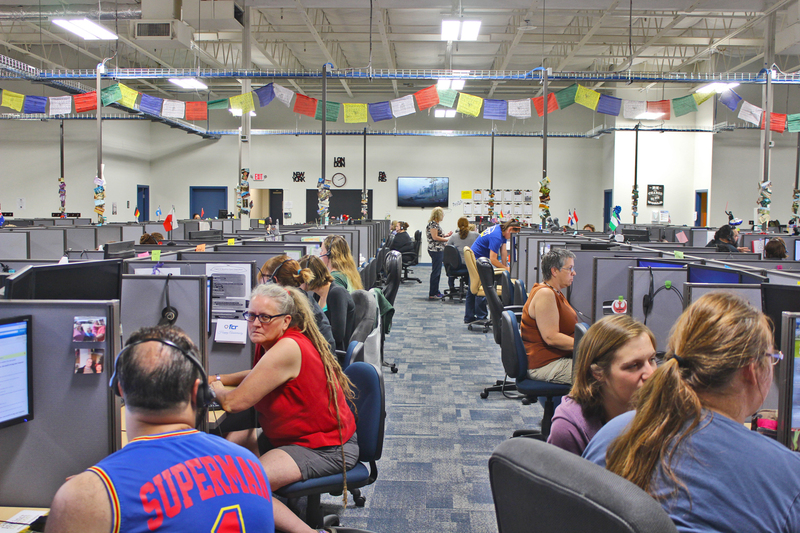 Our call center in Great Falls, Montana opened in June of 2017. 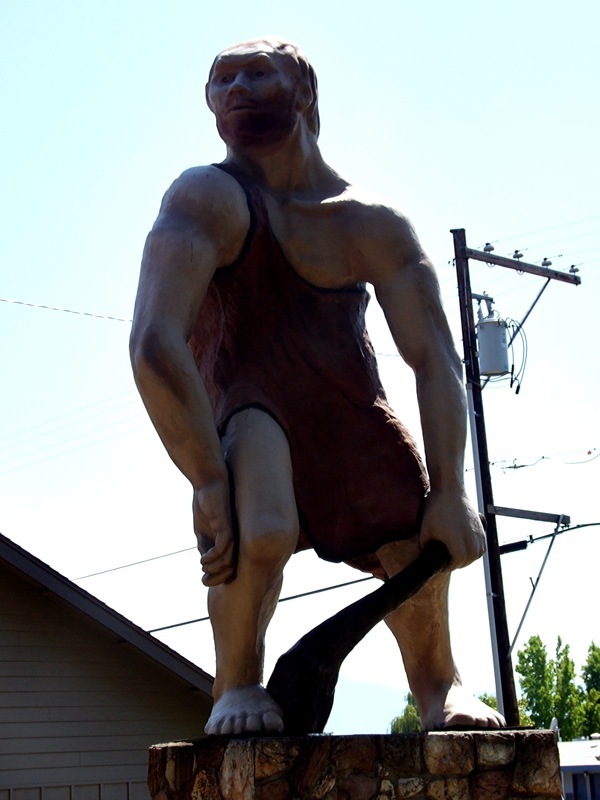 Great Falls is the county seat of Cascade County, Montana and has a population of nearly 60,000 people. 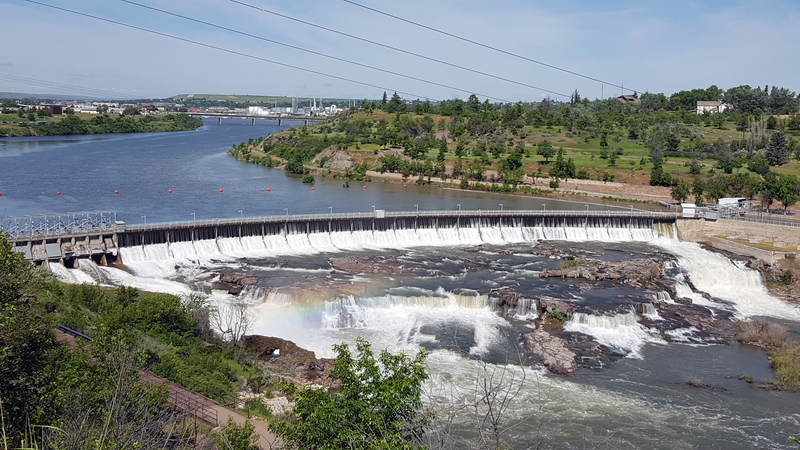 It is the third largest city in the state and is home to the University of Great Falls, Great Falls College Montana State University, Giant Springs, the Roe River (which is claimed to be the shortest river in the world), and Malmstrom Air Force Base. 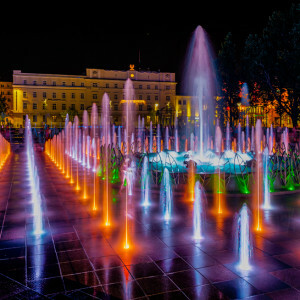 This beautiful city also has a vibrant arts and culture community that includes the Great Falls Symphony Orchestra, as well as sports teams like the Great Falls Voyagers minor league baseball team, the Great Falls Gladiators football team (Rocky Mountain Football League), and the Great Falls Americans ice hockey team (North American 3 Hockey League). 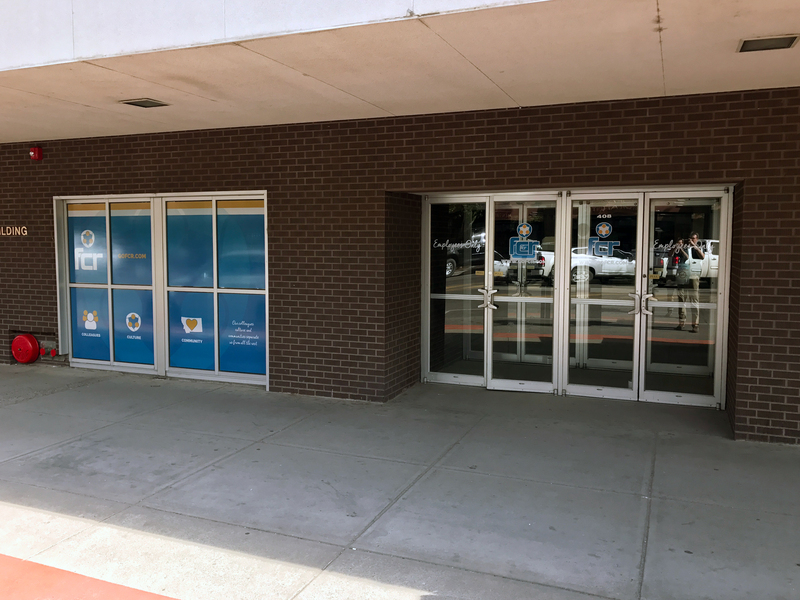 Our newest call center in Butte, Montana is slated to open in late Spring 2019. 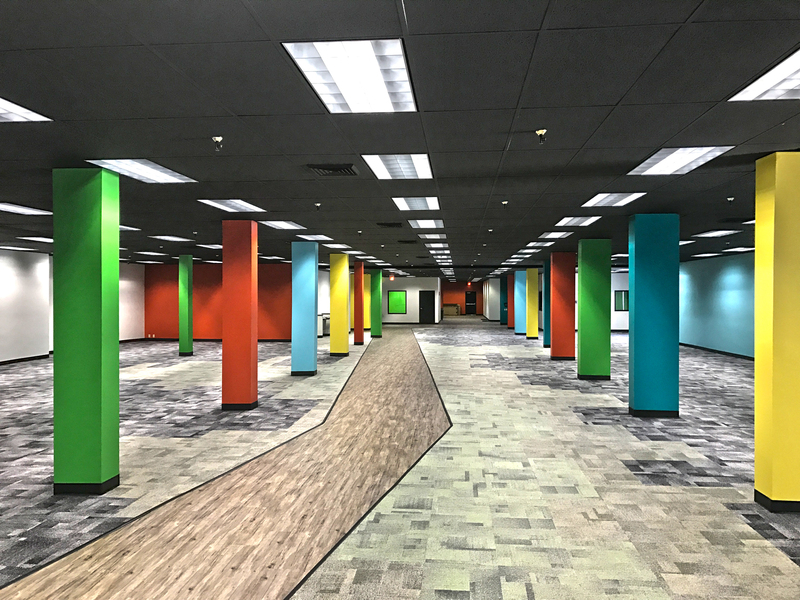 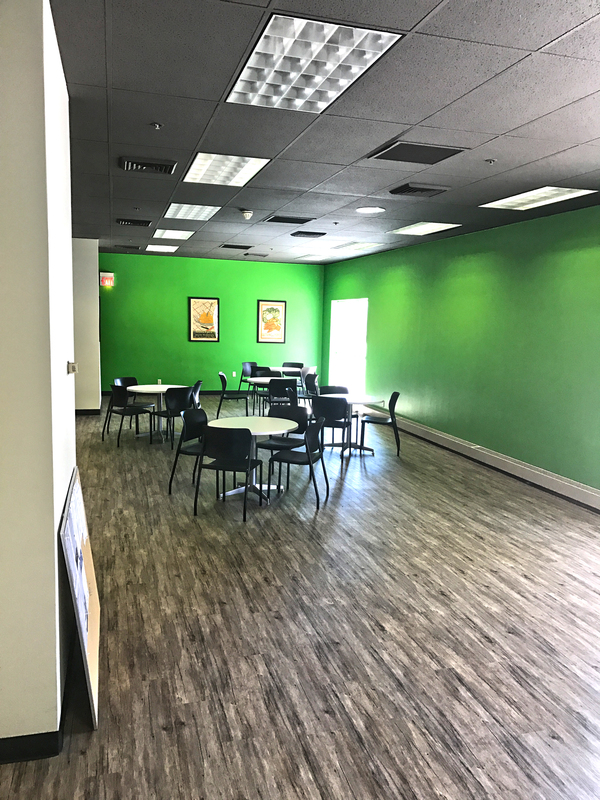 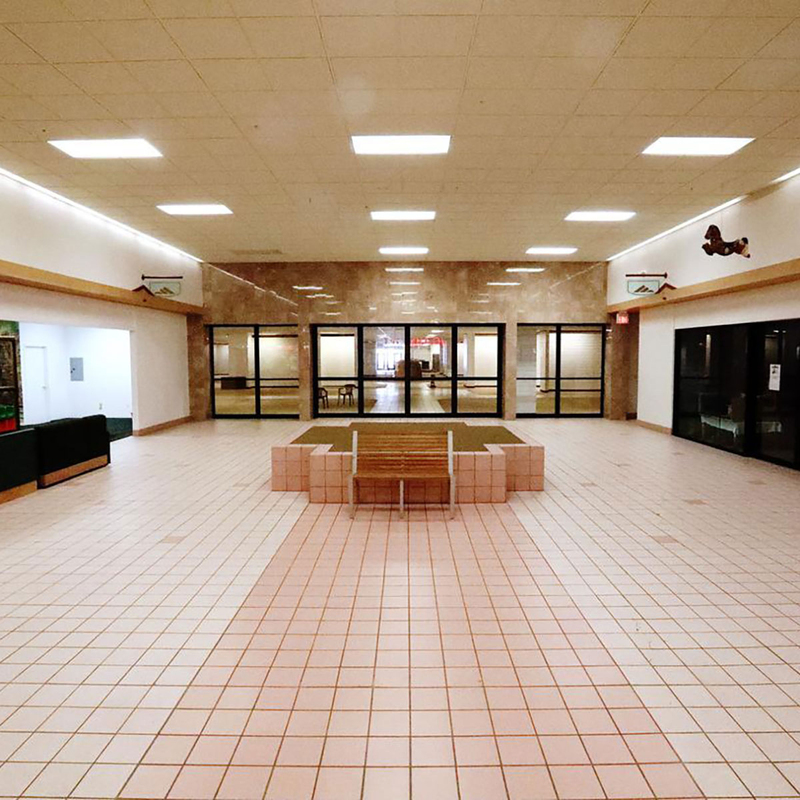 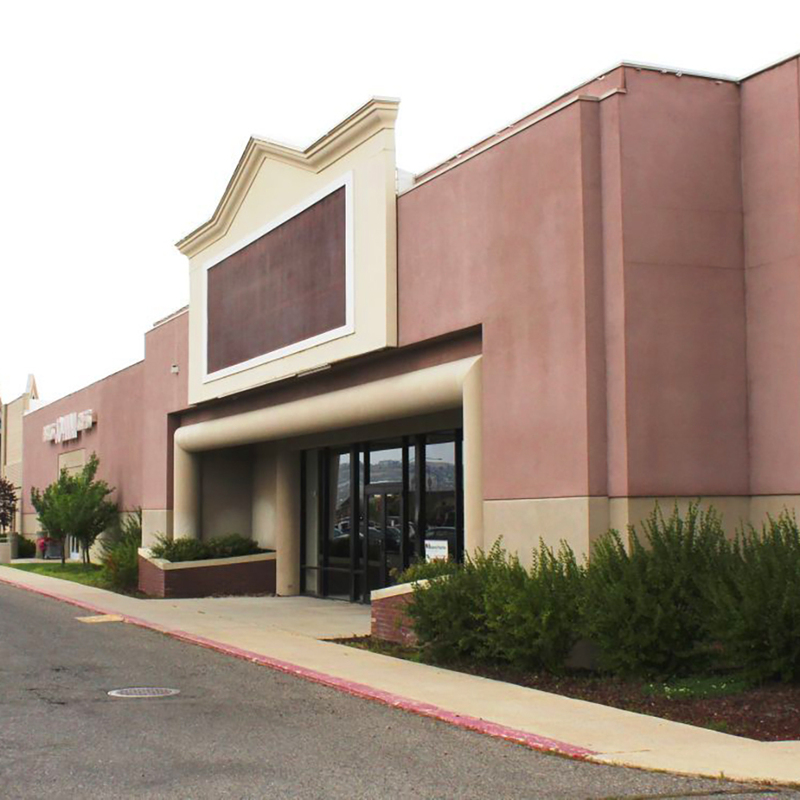 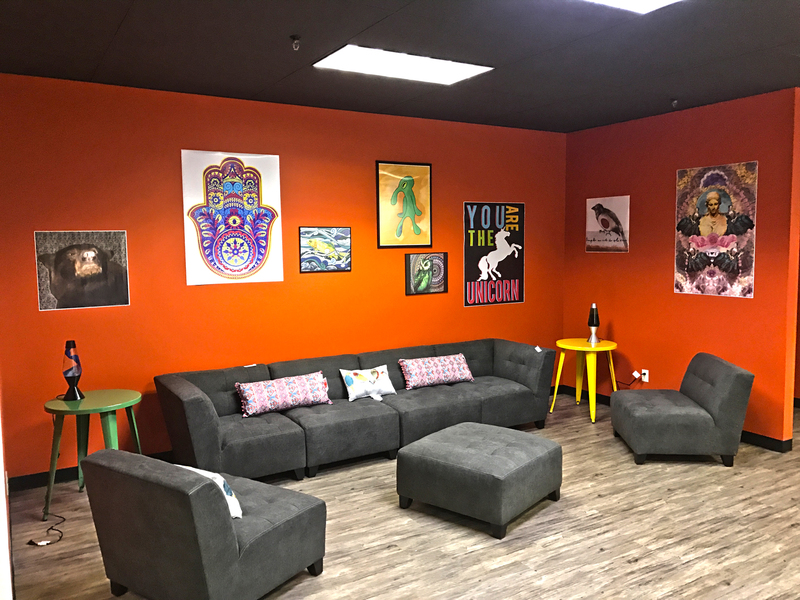 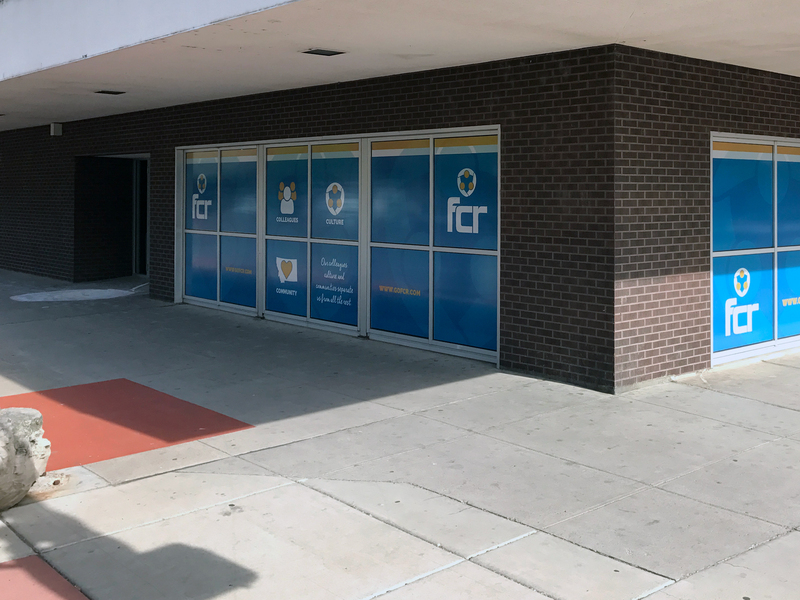 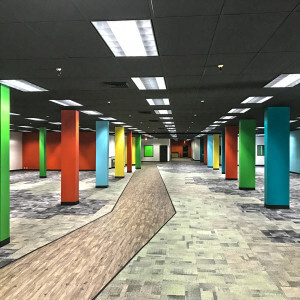 We are currently renovating and reconstructing the workspace located in the Butte Plaza Mall, which was formerly occupied by JCPenney. 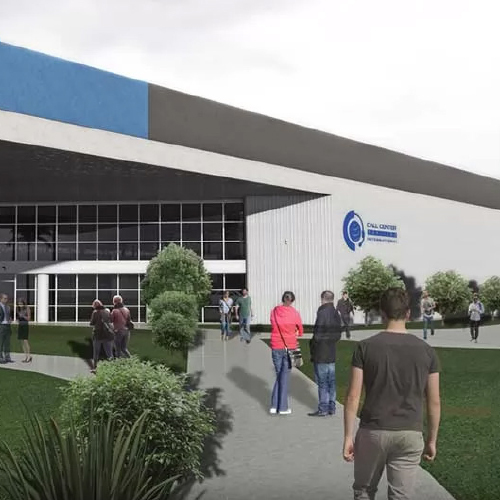 We will begin accepting applications for positions once we are closer to completing construction in Spring 2019. 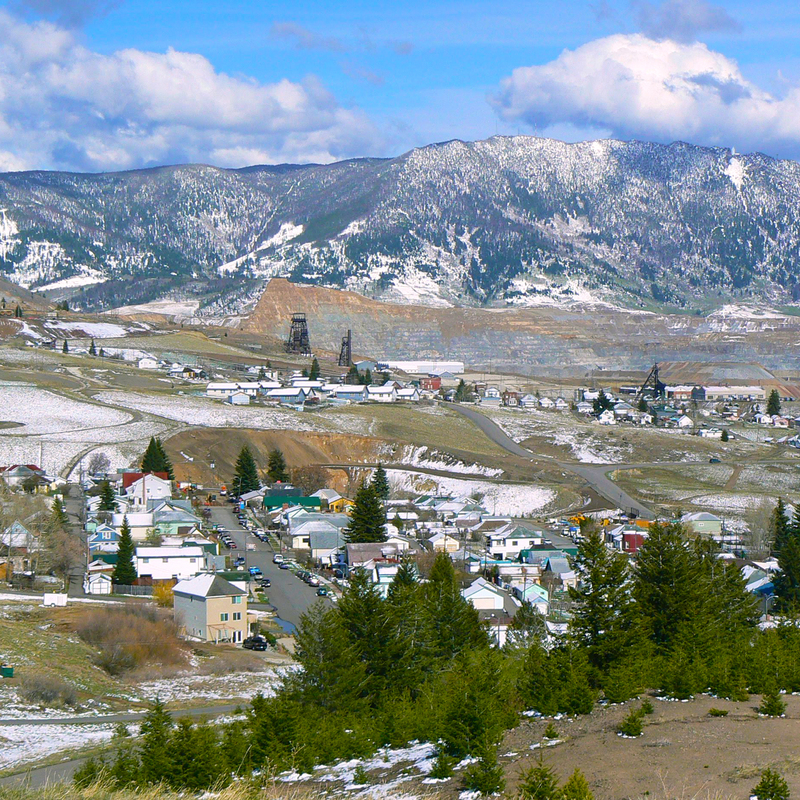 Butte is the county seat of Silver Bow County, Montana and has a population of approximately 36,400 people, making it the fifth largest city in the state. 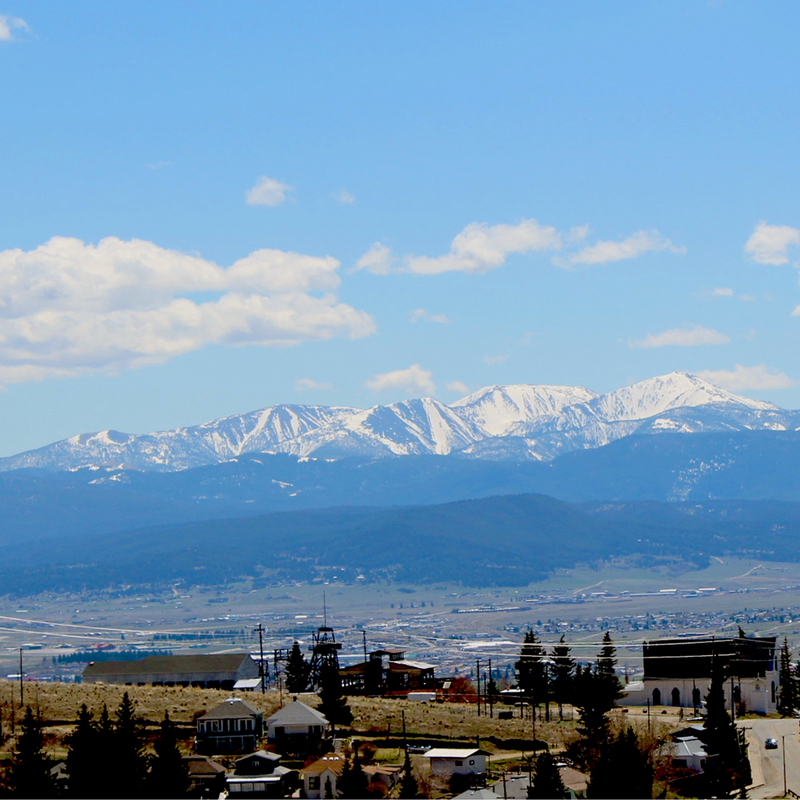 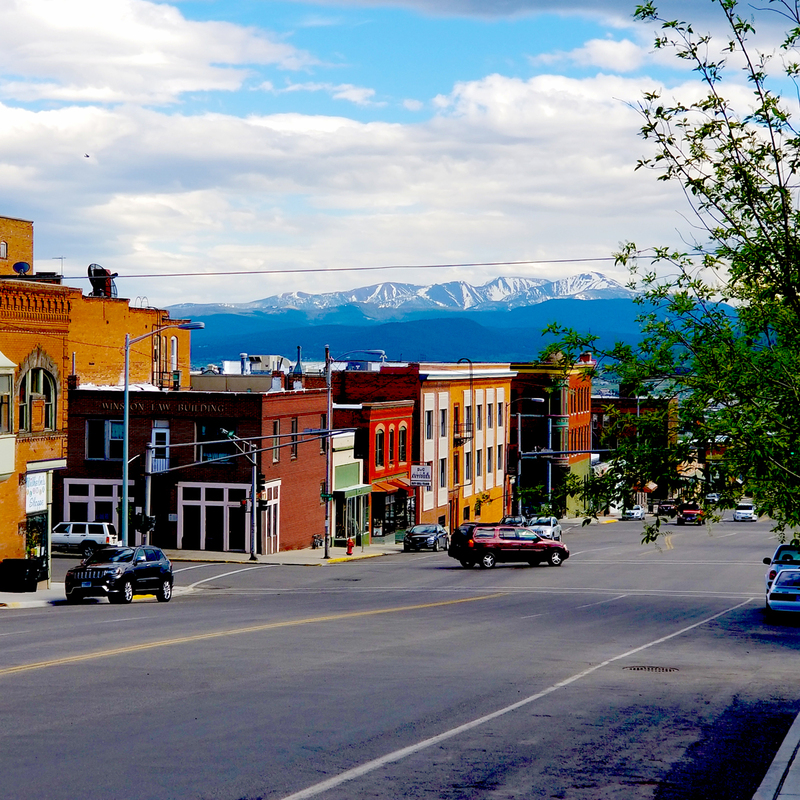 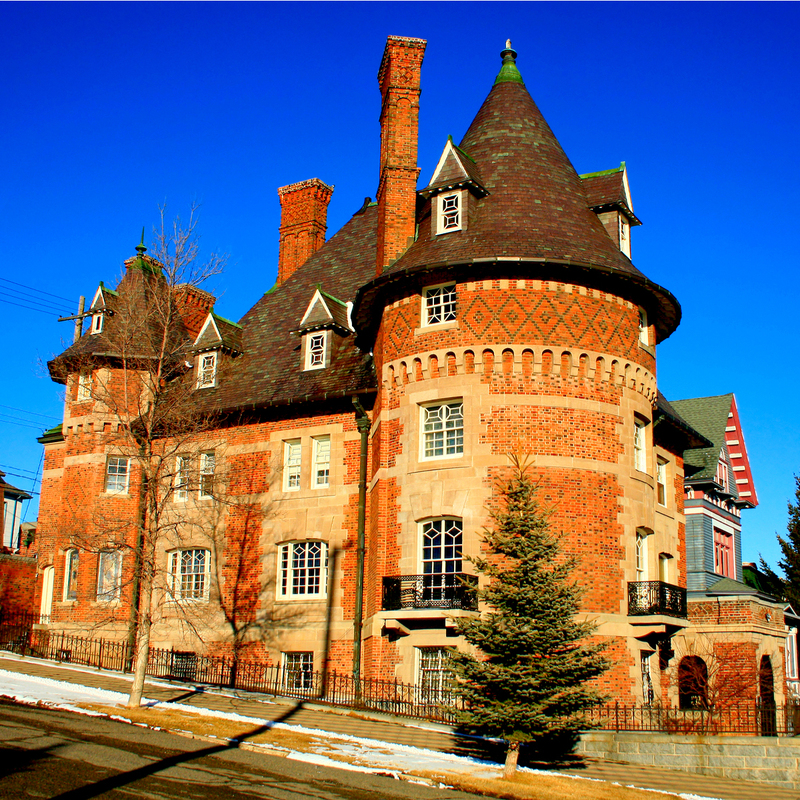 The city was established in 1864 as a mining camp in the northern Rocky Mountains on the Continental Divide and experienced rapid development in the late-nineteenth century. 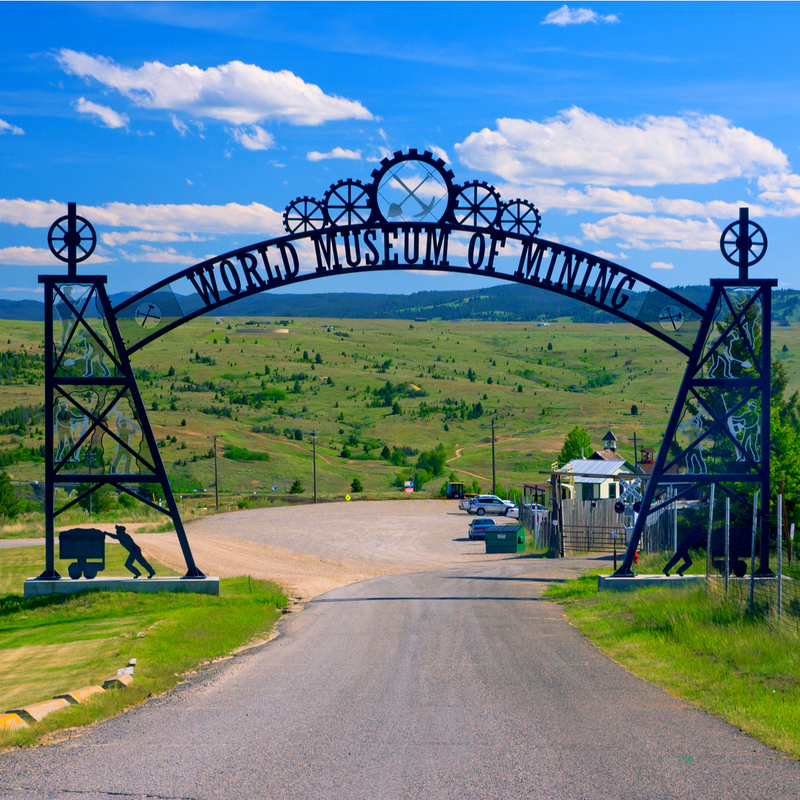 It was Montana’s first major industrial city. 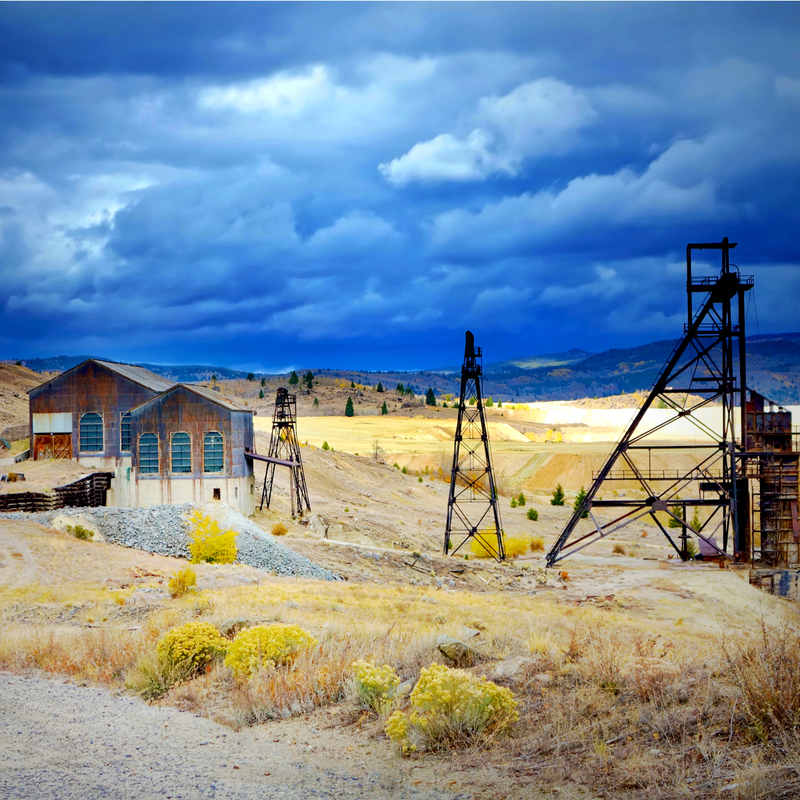 At its peak period of growth between the late-nineteenth and early-twentieth centuries, it was one of the largest copper boomtowns in the American West. 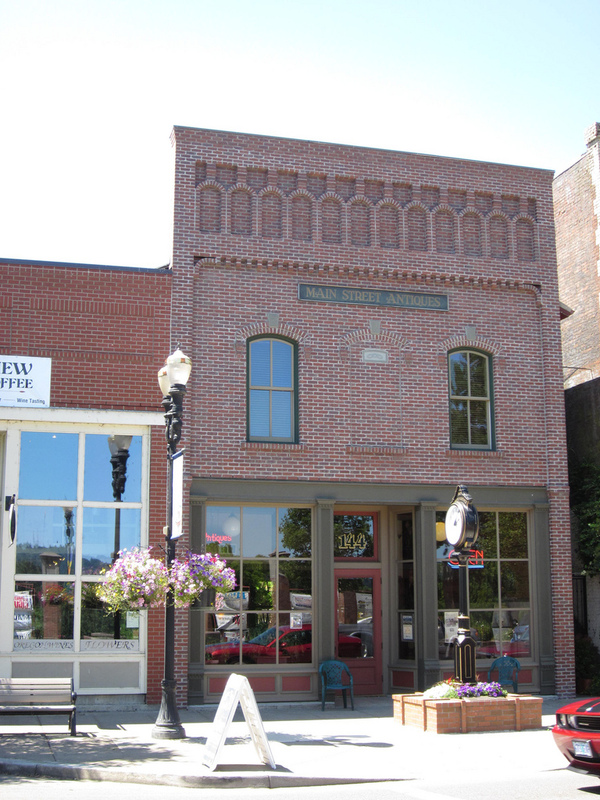 The city’s Uptown Historic District is on the National Register of Historic Places, and is one of the largest National Historic Landmark Districts in the United States. 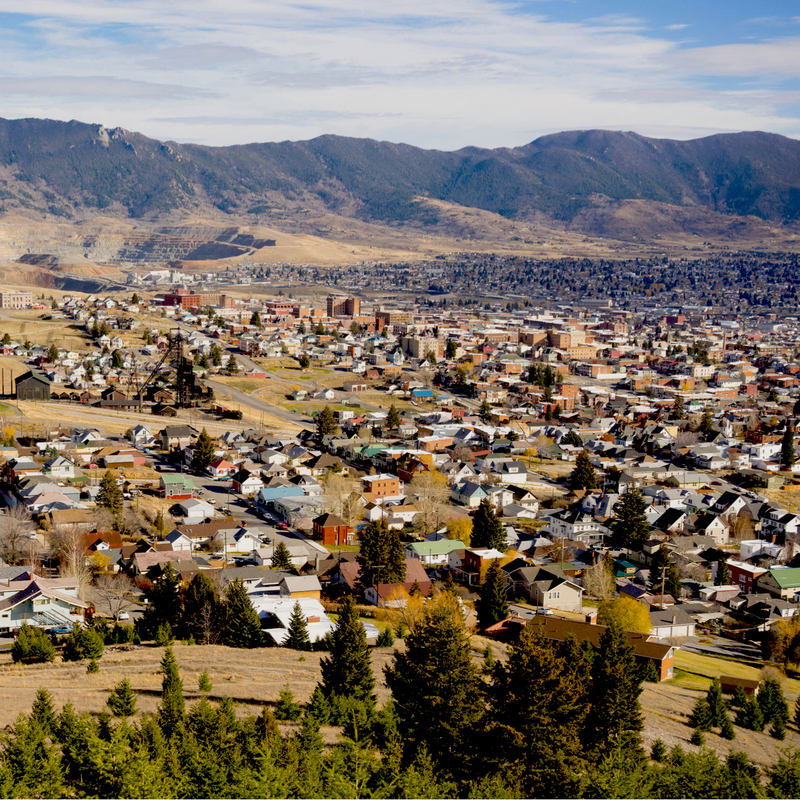 The city is also home to Montana Tech, a public engineering and technical university. 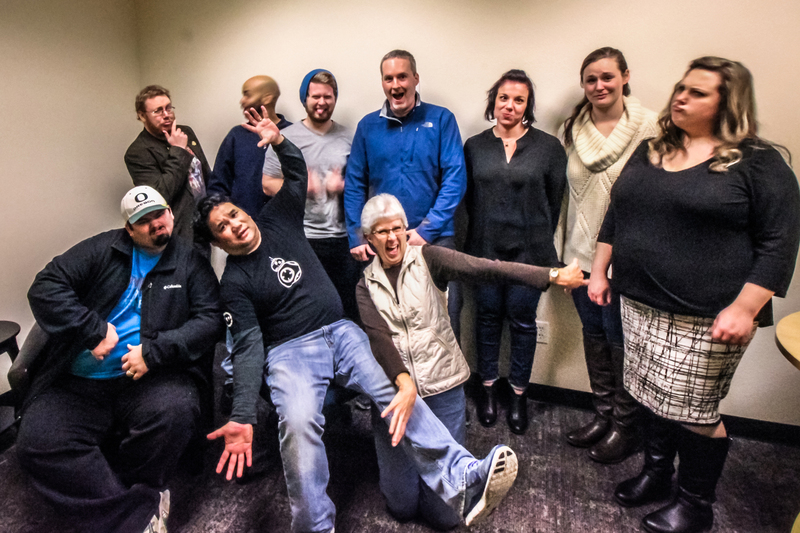 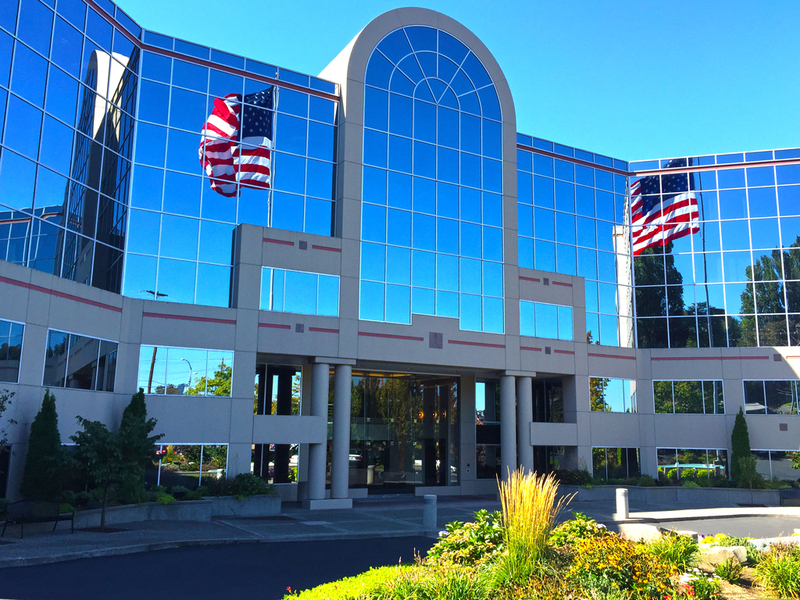 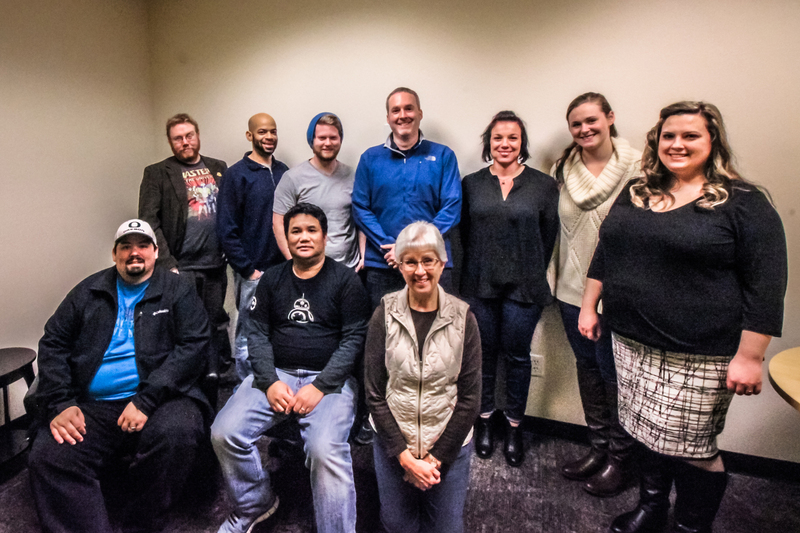 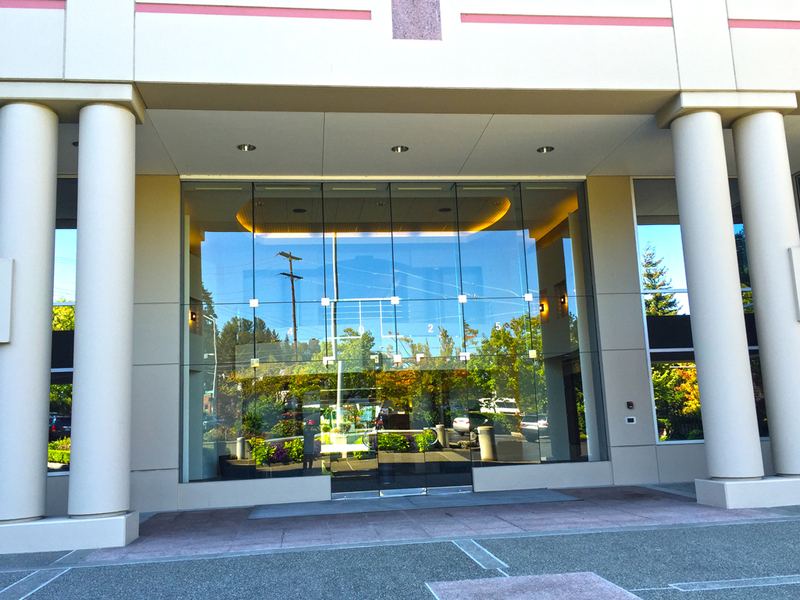 Our Seattle office is the home to our Sales team. 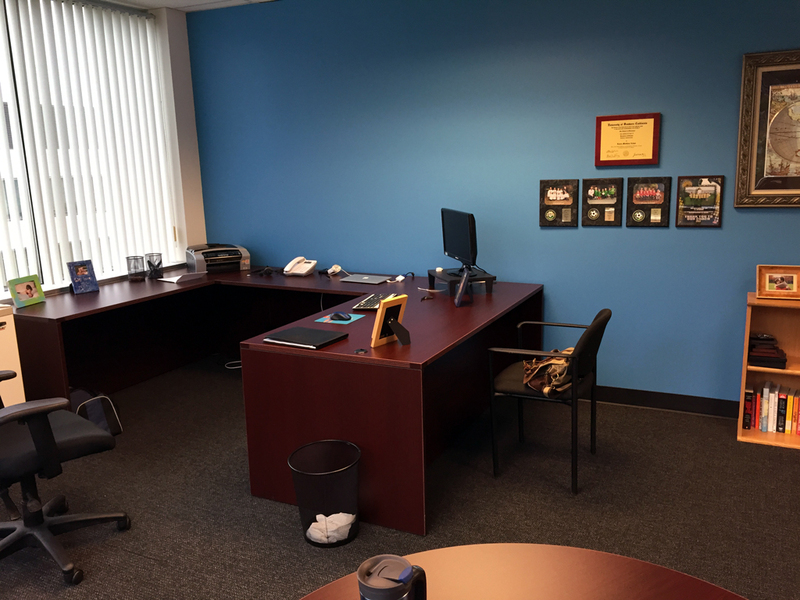 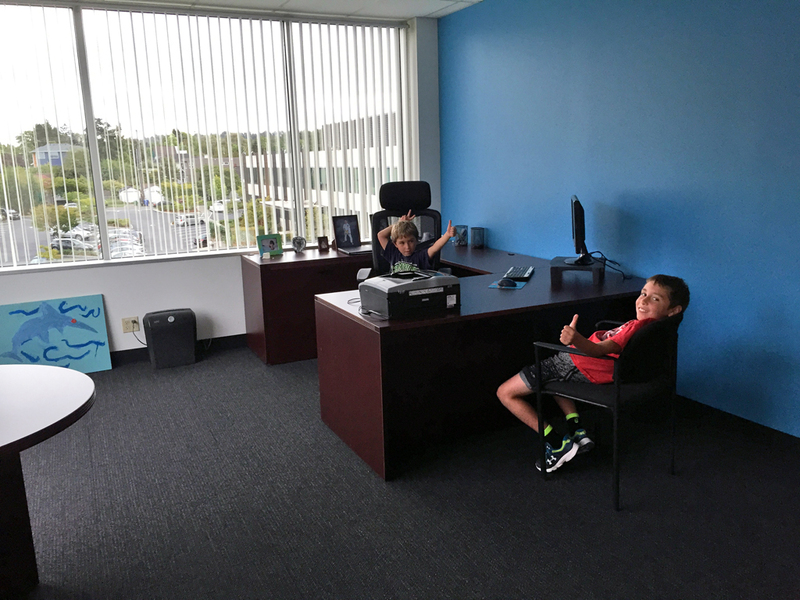 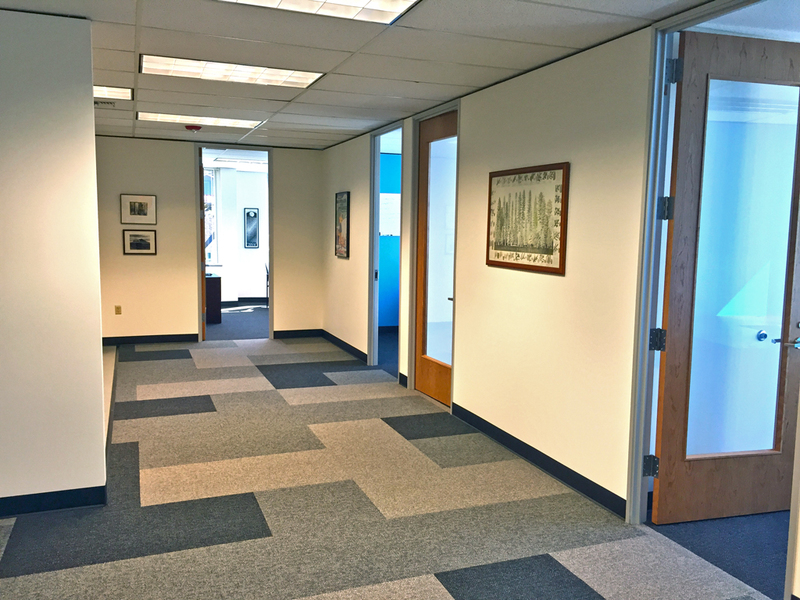 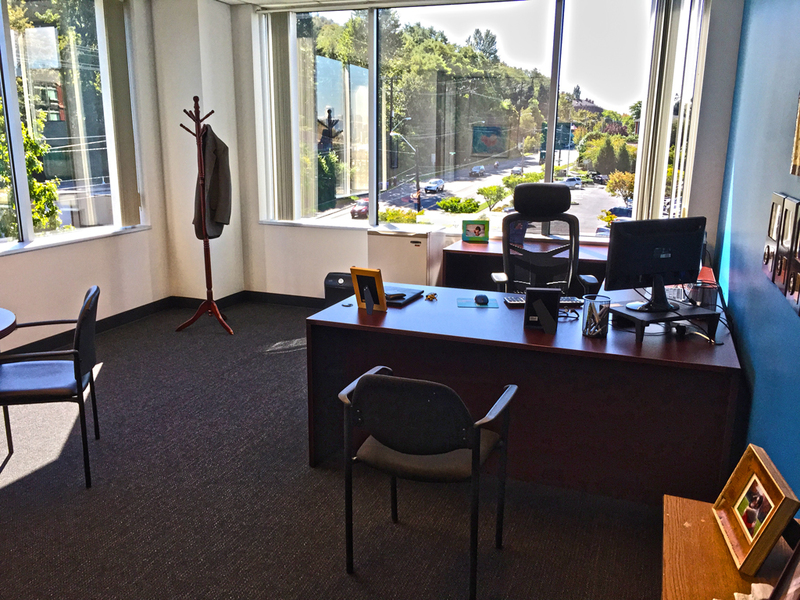 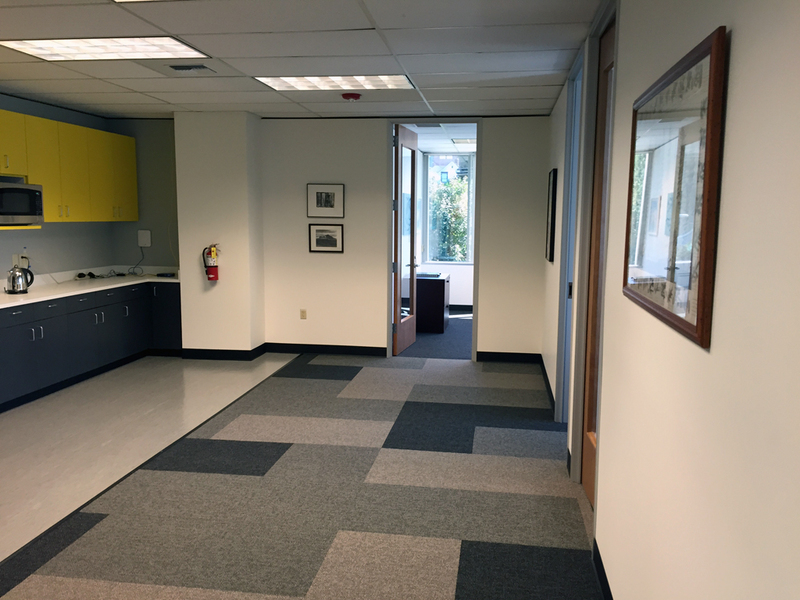 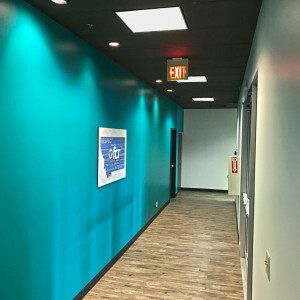 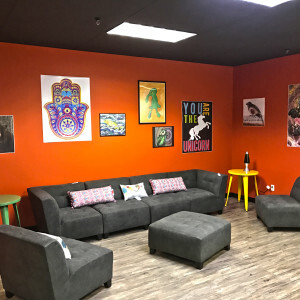 Located between West Seattle and I-5 to the East, and just 20 minutes from the Seattle-Tacoma International Airport, the sales office is in a convenient location for our clients to visit. 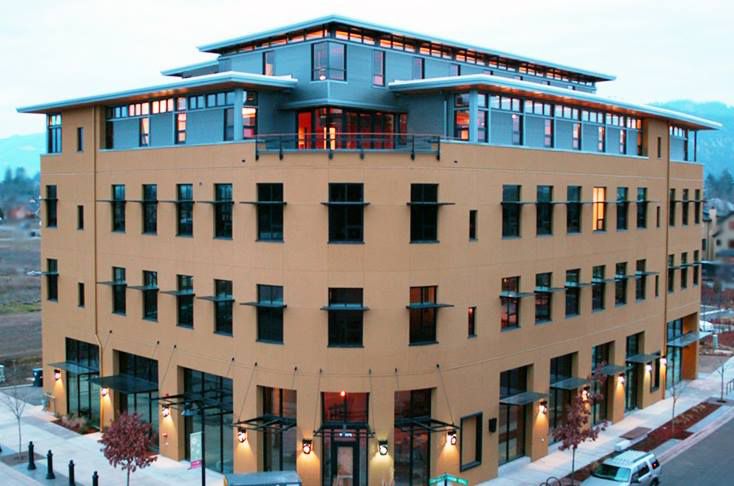 With an estimated population of 670,000 residents, Seattle is the largest city in both the State of Washington and the Pacific Northwest region. 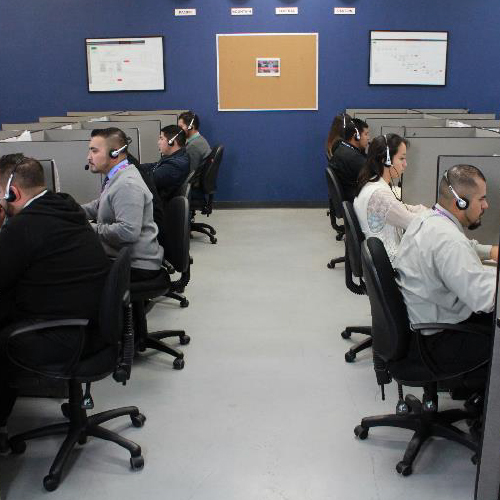 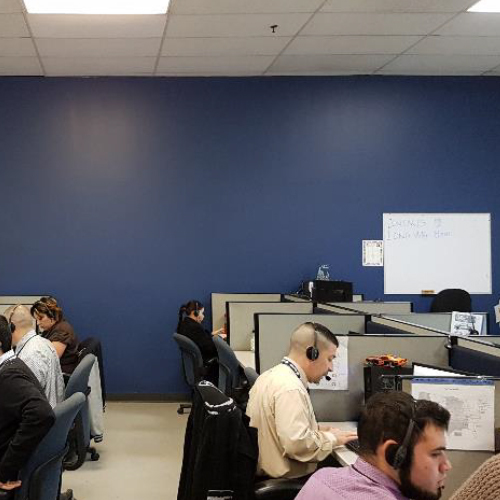 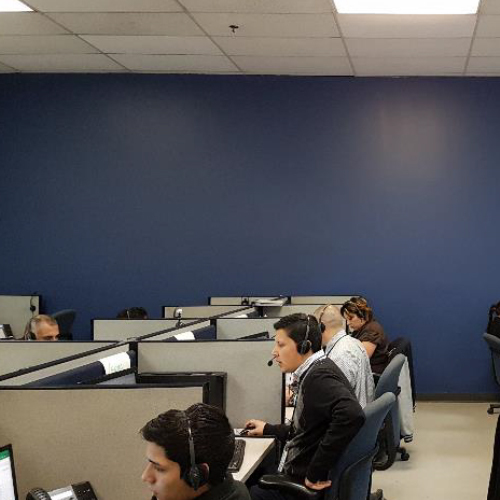 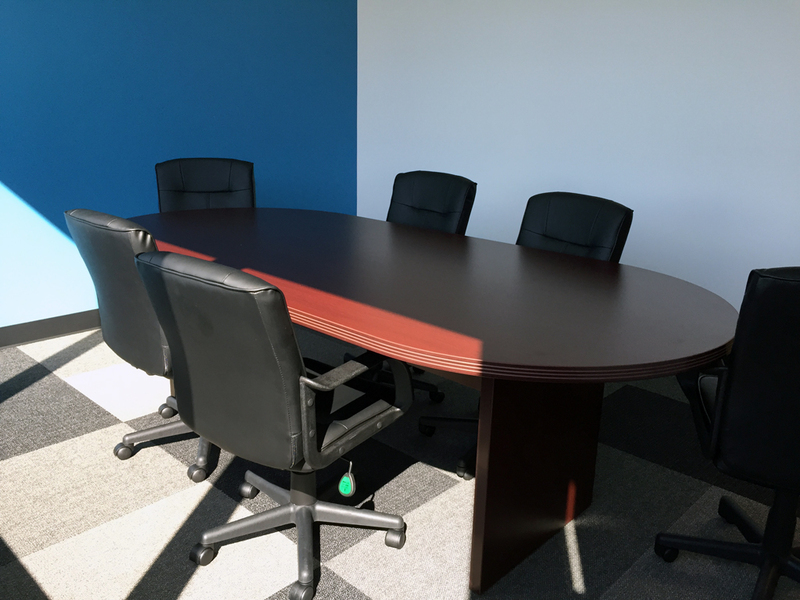 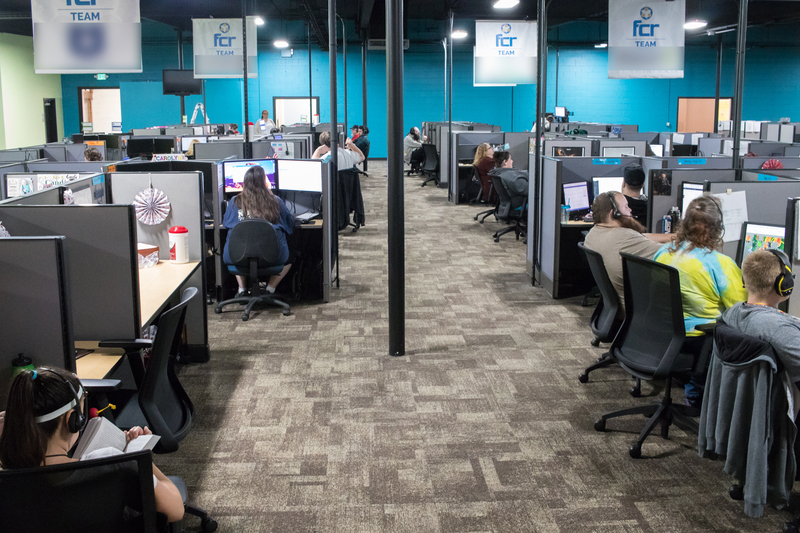 Our new nearshore contact center in Baja California, Mexico is located just minutes away from San Diego, California and is centered within the heart of Tijuana’s International Business Park. 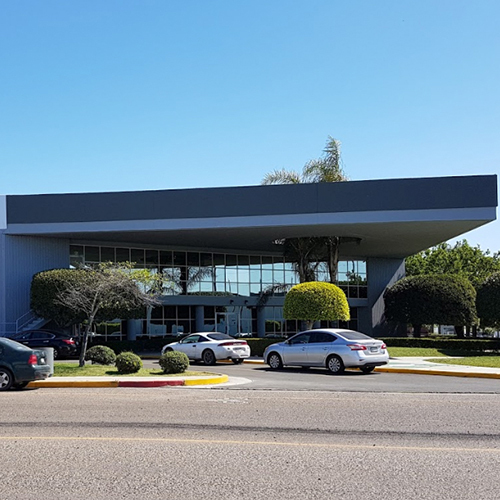 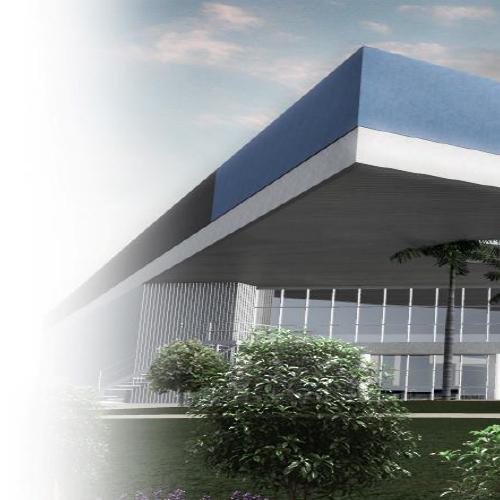 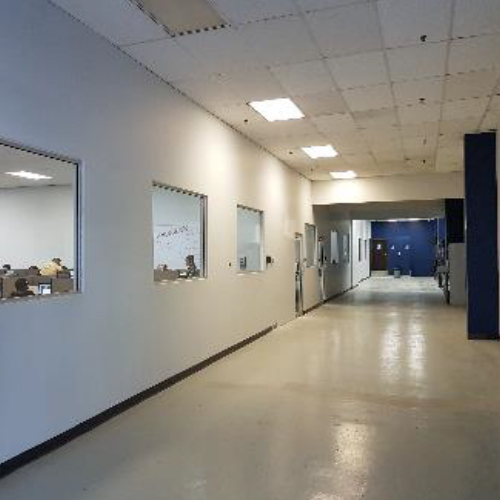 Our Tijuana, Baja center is located within the CCSI Otay Industrial Park Complex and is fully integrated with our US operations. 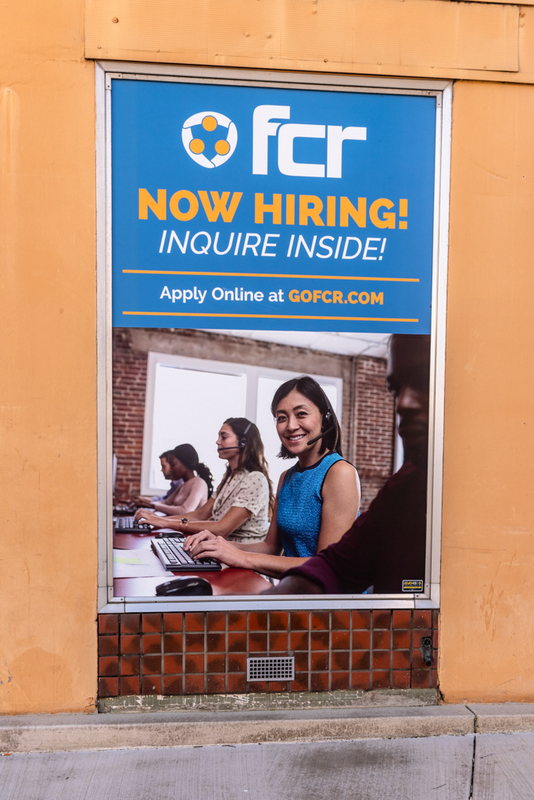 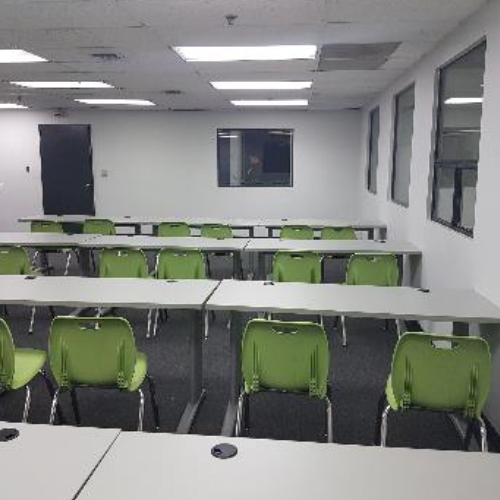 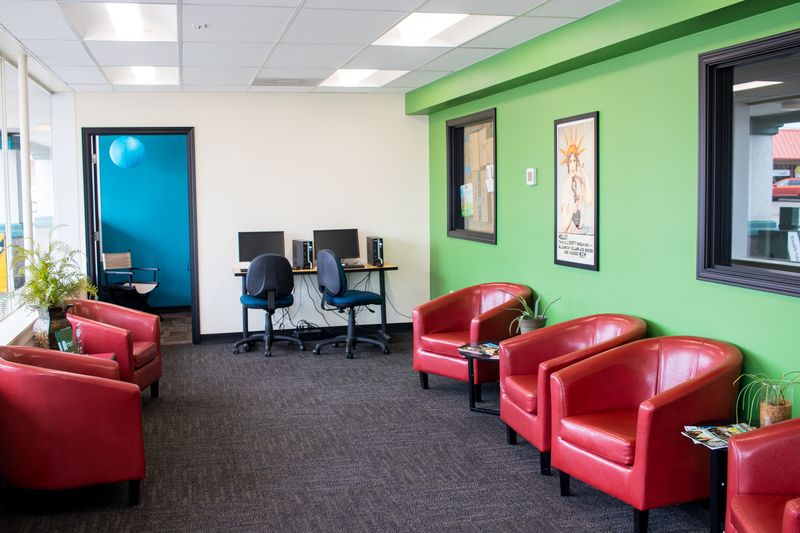 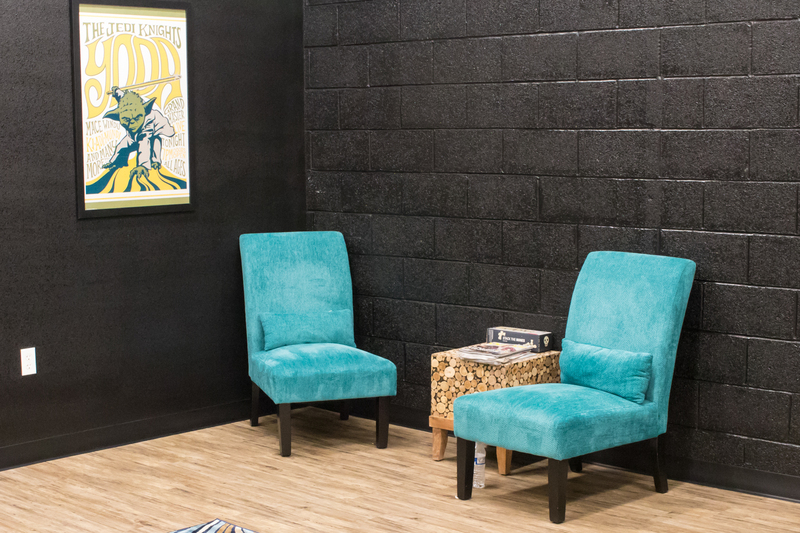 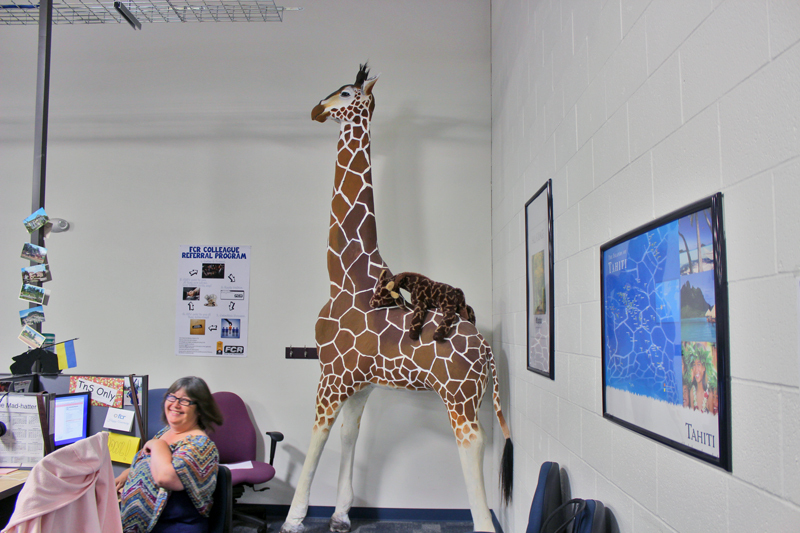 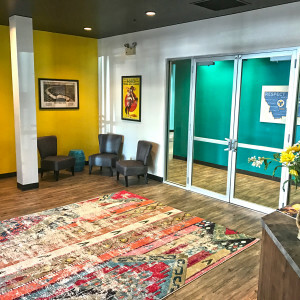 This center offers plenty of capacity for all of your Spanish language and bilingual needs. 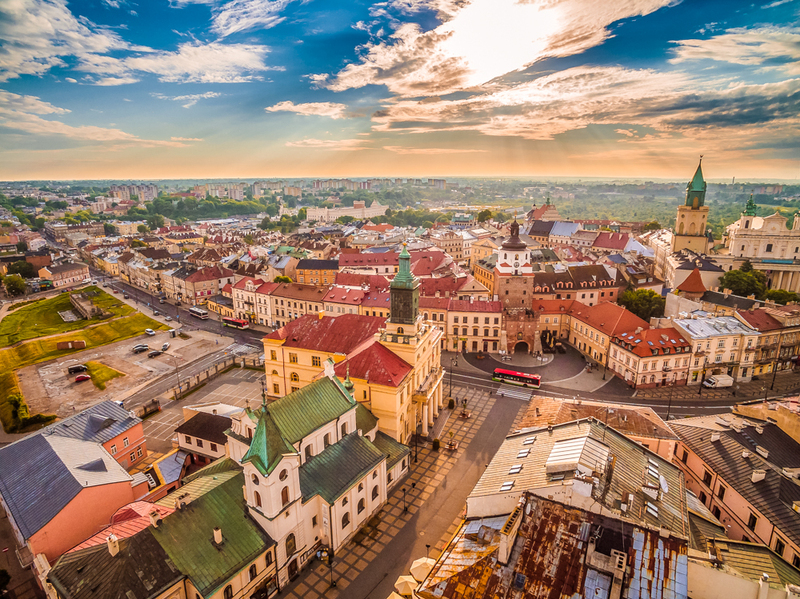 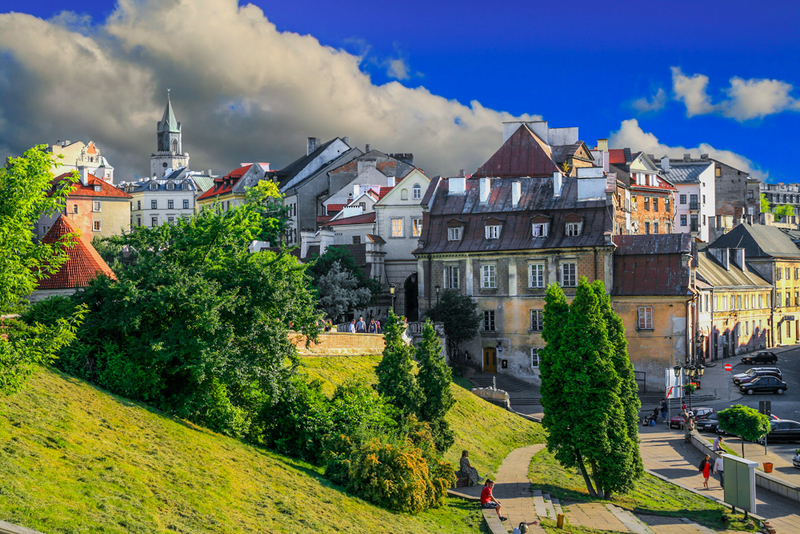 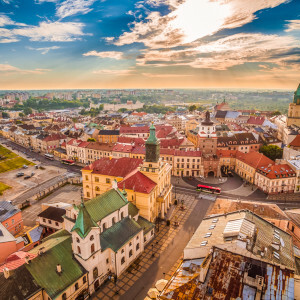 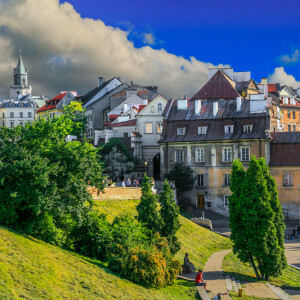 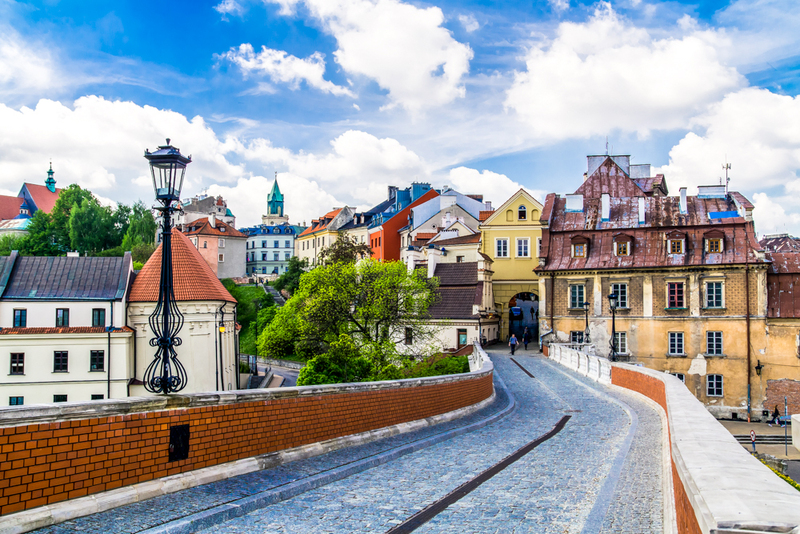 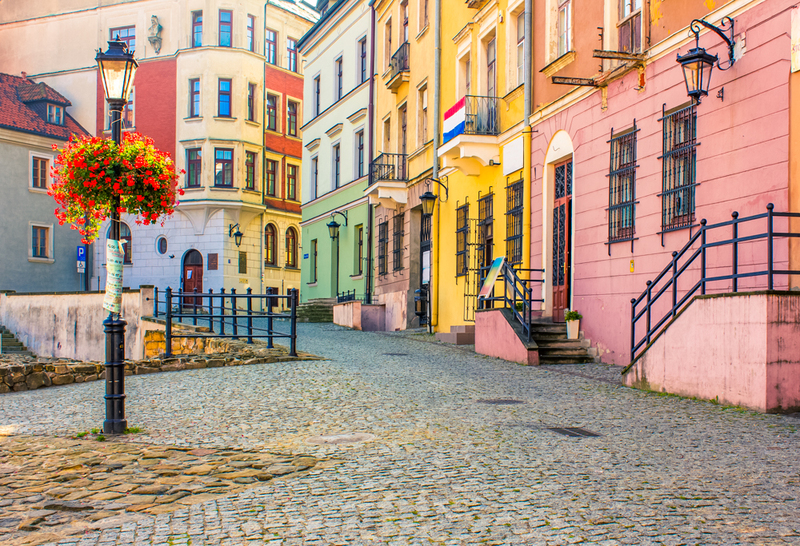 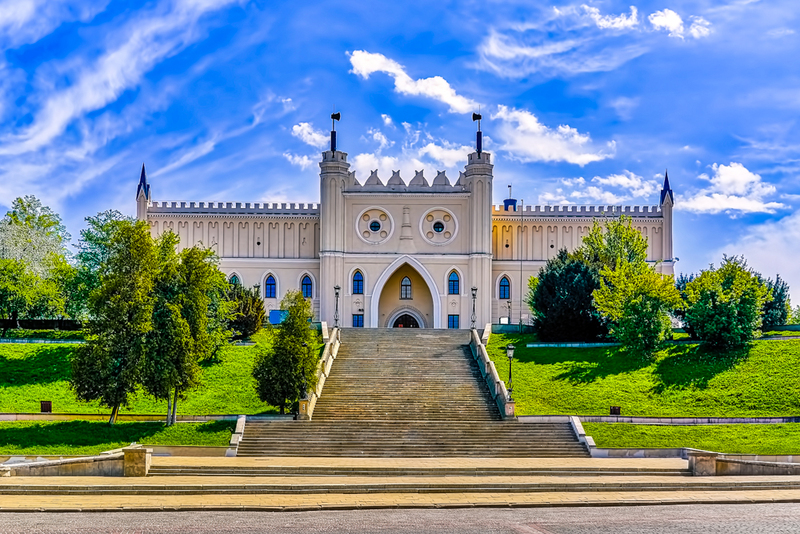 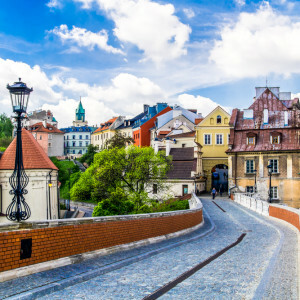 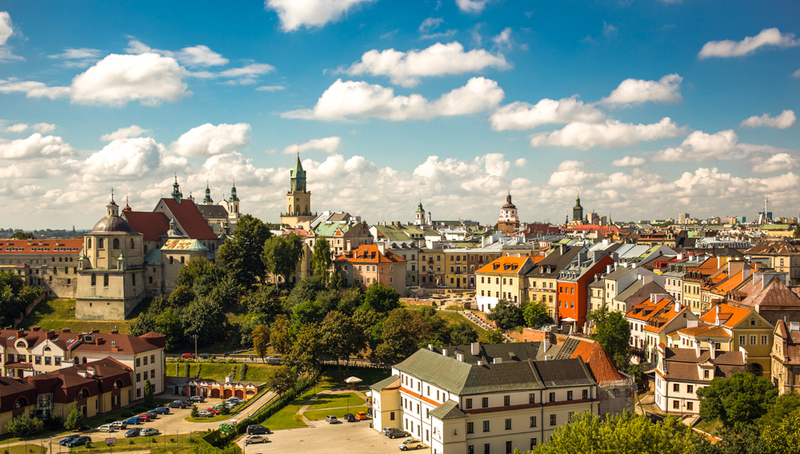 Our new European operations are located in Lublin, Poland in the central part of the city. 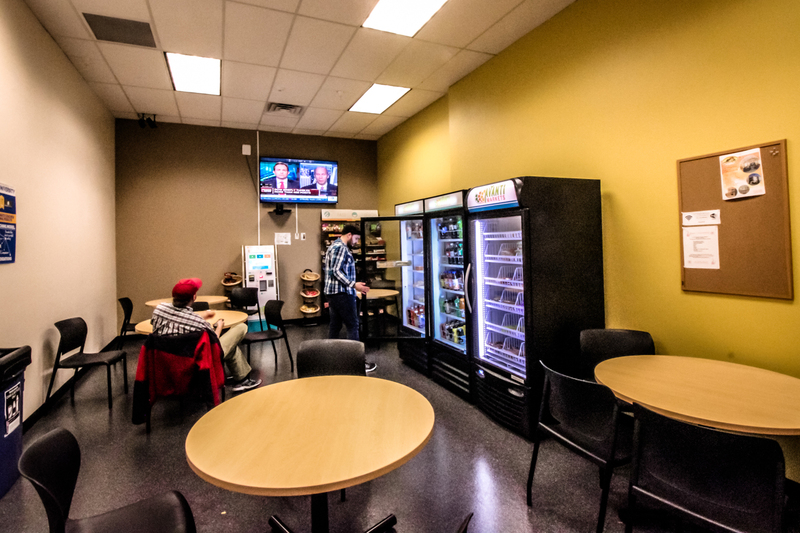 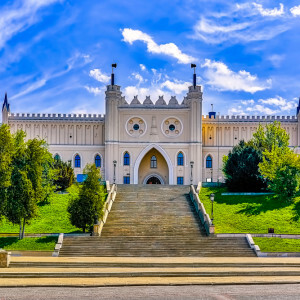 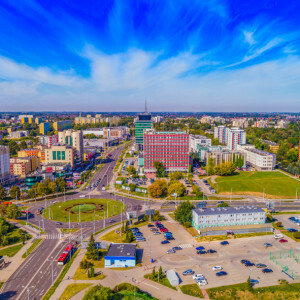 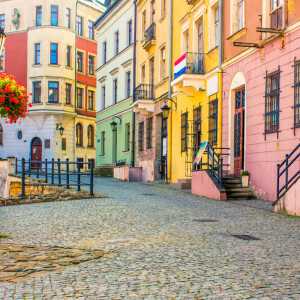 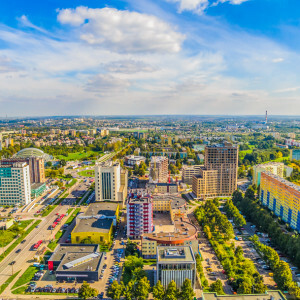 The Lublin center is close to local universities and campuses and offers convenient public and transportation connections. 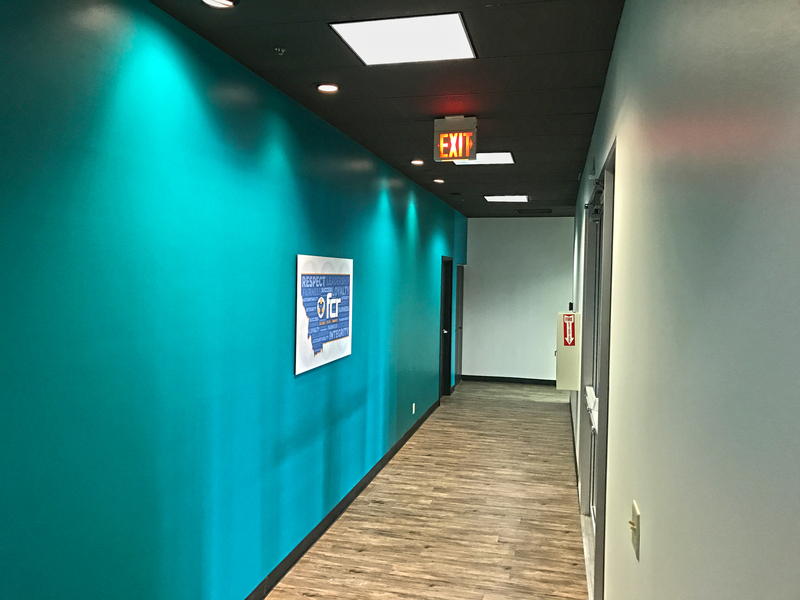 Our office offers modern architecture design with air conditioning, elevators, raised flooring, and additional noise absorbing solutions. 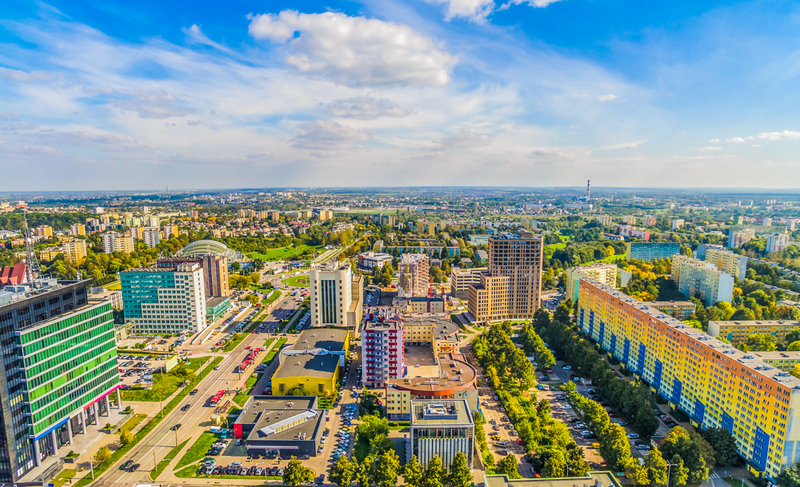 Lublin currently offers over 220 workstations with potential growth for more space.